🍋🤤 What will you get for lunch today? Bon Appétit! 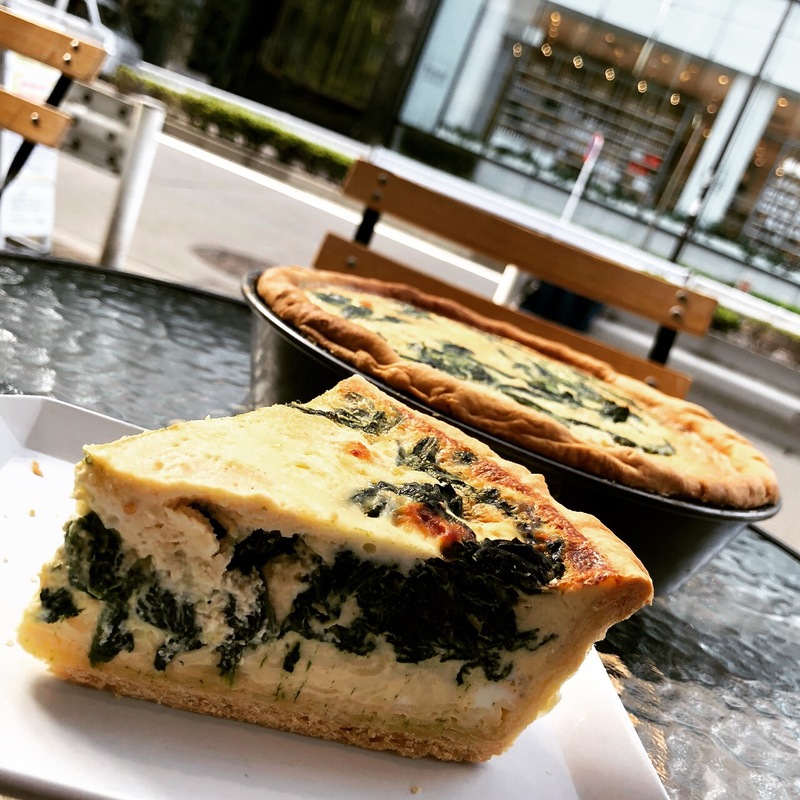 🍋☺️ New Week = New Quiche @citron_tokyo. 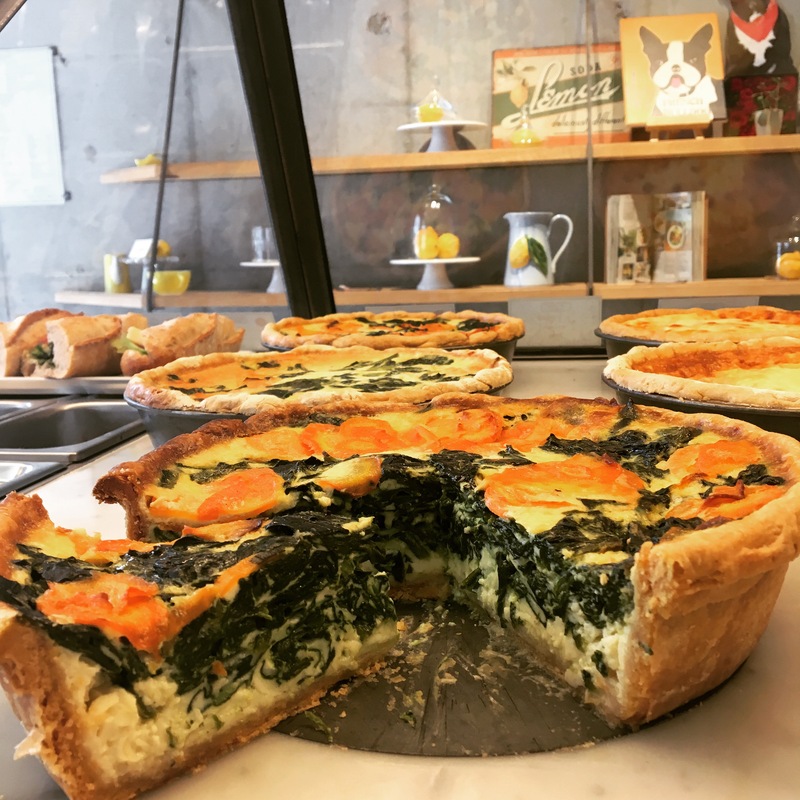 From today you can discover our new Épinard quiche made of Fresh Spinach, Carrots and Mozzarella Quiche. Available until March31st. Bon Appétit!! 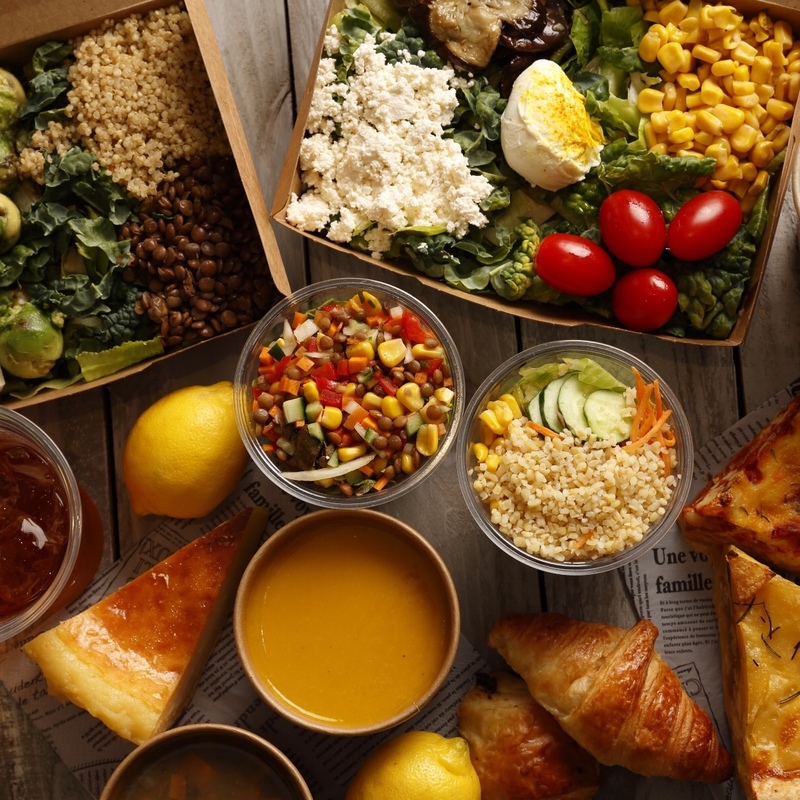 🍋🤩 Our Daily Catering Delivery!! 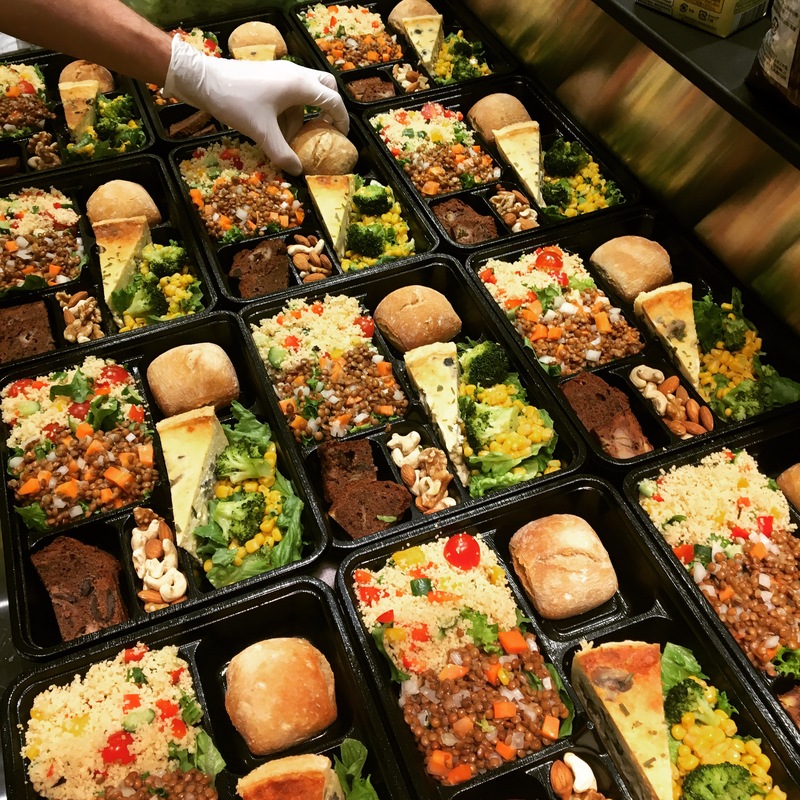 Like with Netflix, we can organize and deliver corporate catering. Don’t hesitate to call or email us for inquiries! Bon Appétit! 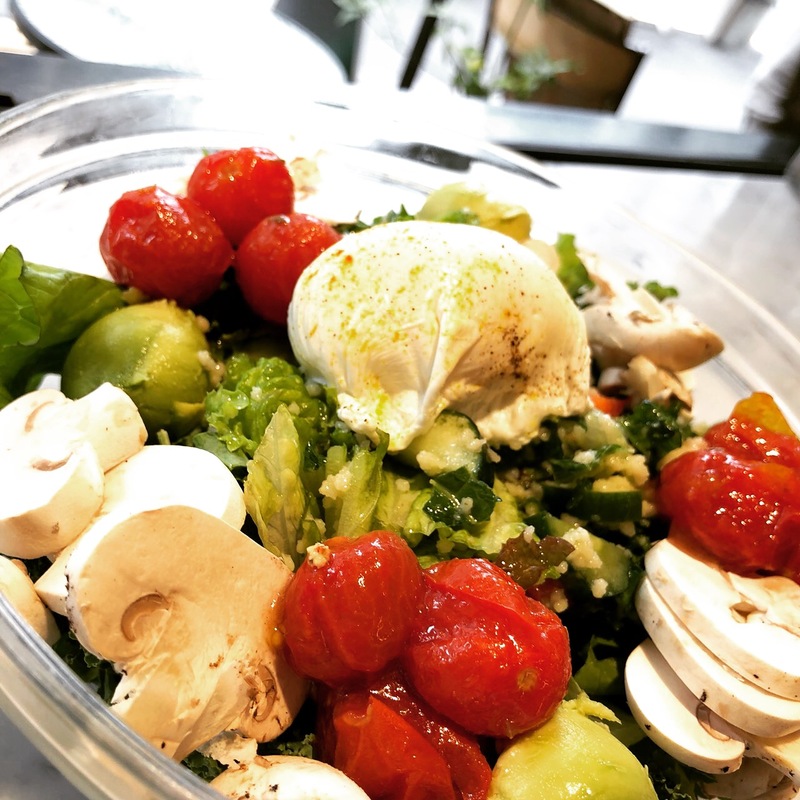 🍋🌱 Our March Chef’s Salad is composed of Mixed Leaves, Homemade Veggie Croquettes, Cauliflower, Shimeji, Cherry Tomatoes, Poached Egg and Walnuts! Eat-in or Take away OK!! Bon Appétit! 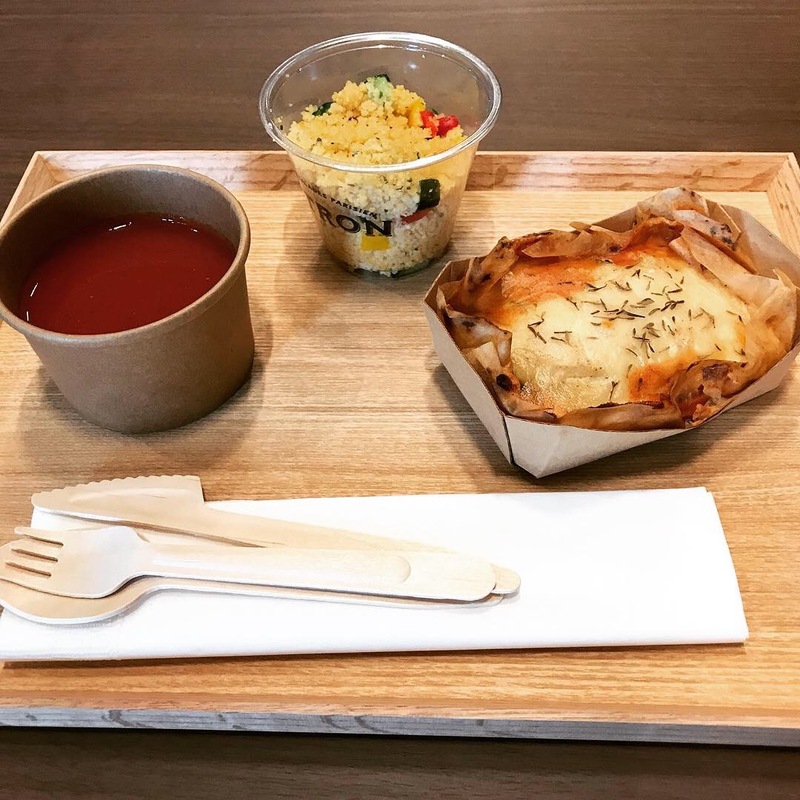 SANDWICH SET = 990 YEN ONLY! 🍋🌱 Morning everyone! Beautiful Saturday! 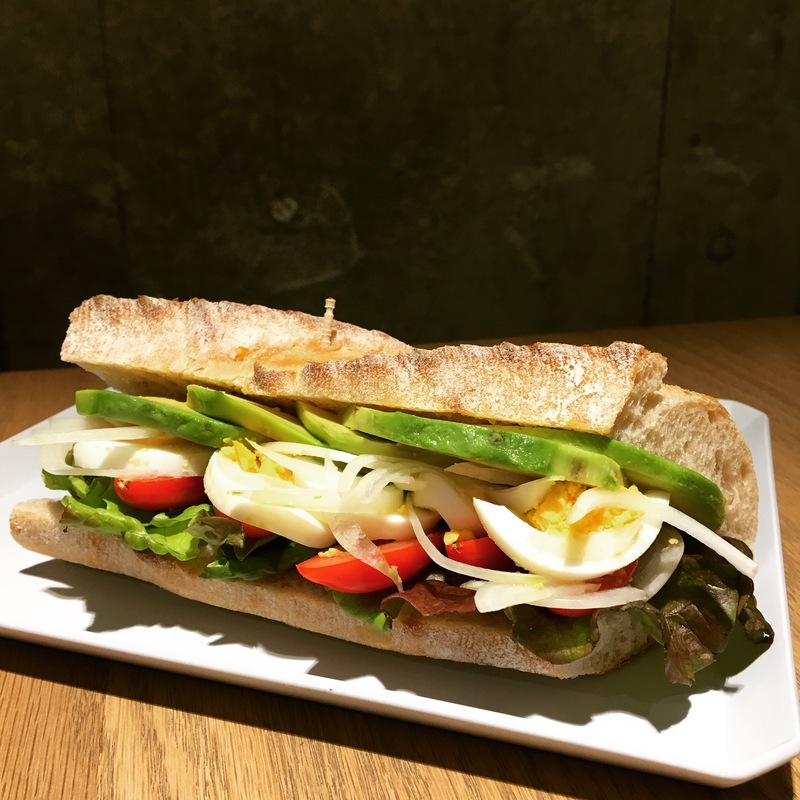 Let’s have our new Sandwich Set (D set) at #citron_aoyama! 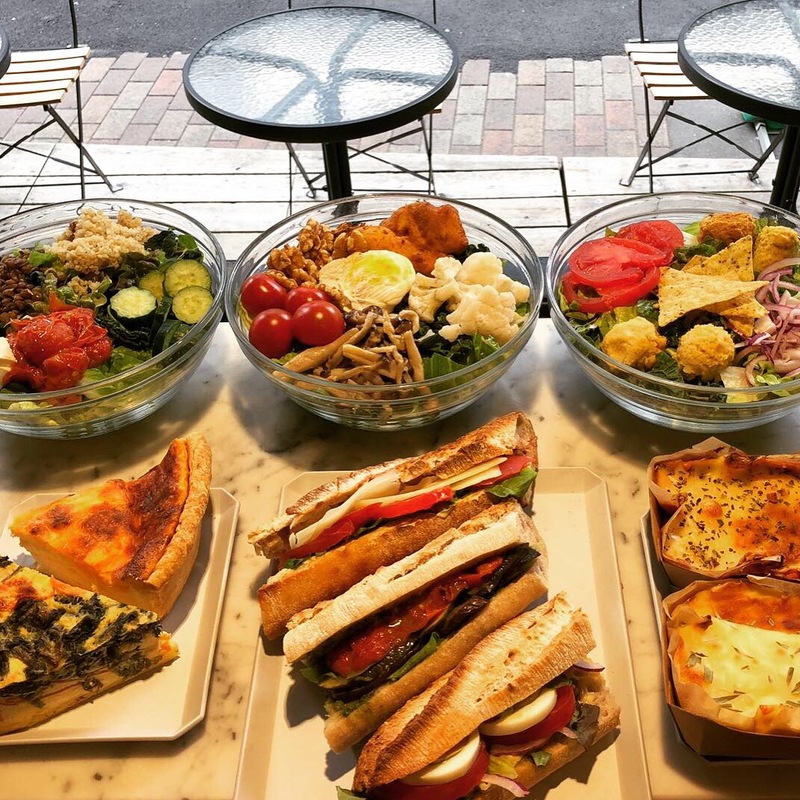 990 yen with a Sandwich of your choice, Vegan Soup of your choice and Salad. Bon Appétit! 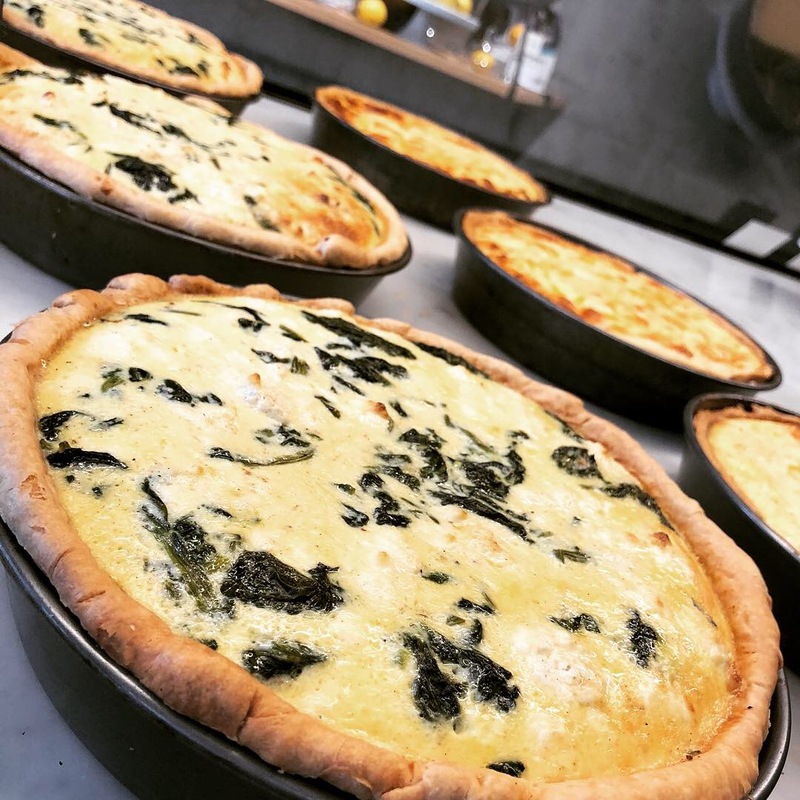 🍋😍 Our beautiful quiches are ready! 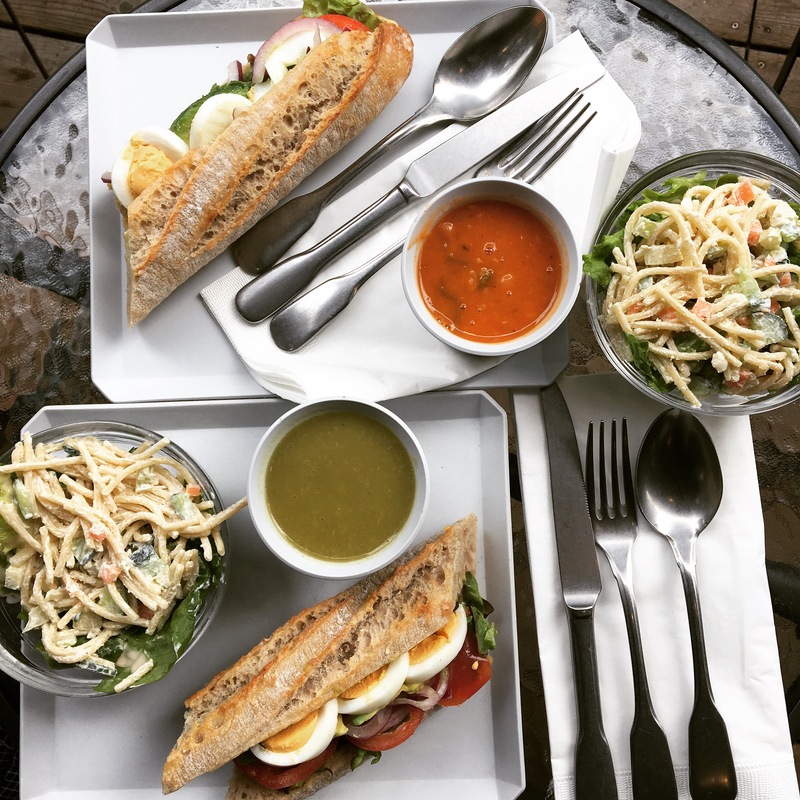 Will you be tempted by our Leek, Potato and Turmeric one or our Grilled Red Onions and Rosemary delicacy? Bon Appétit! 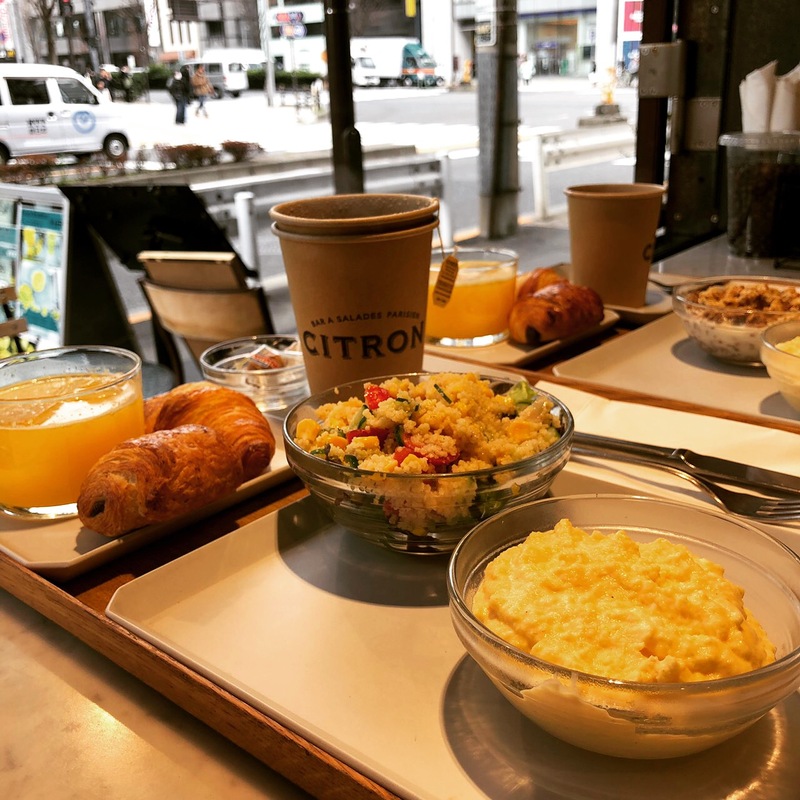 🍋🍳 Breakfast Set at CITRON! Bon Appétit! 🍋🥗 Let’s go healthy! Let’s go green! Let’s go vegan!! 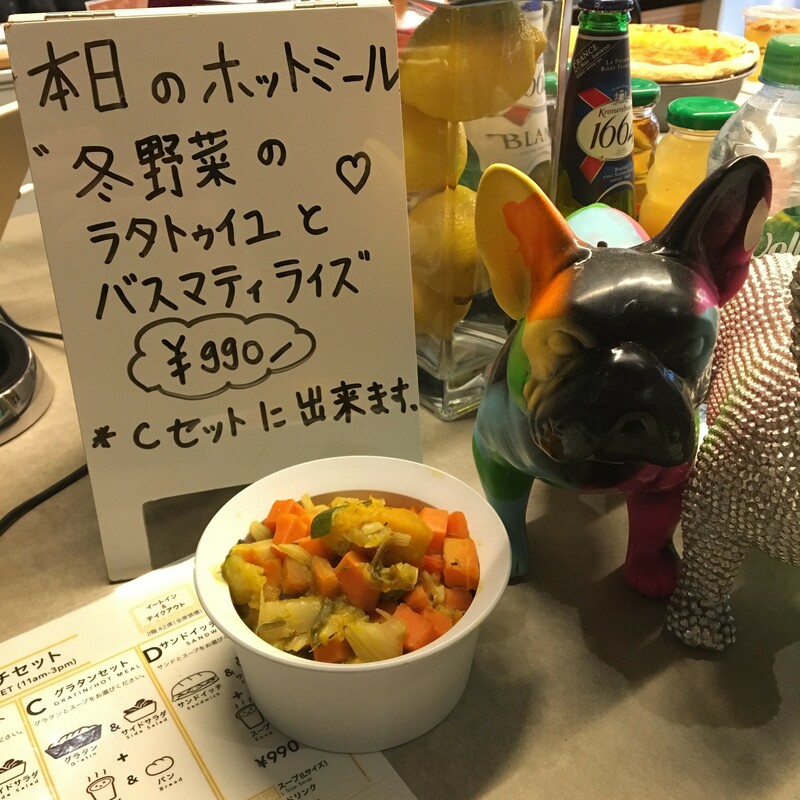 Like our dear customer Barbara, you can opt for 100% vegan menu at #citron_aoyama and #citron_otemachi! 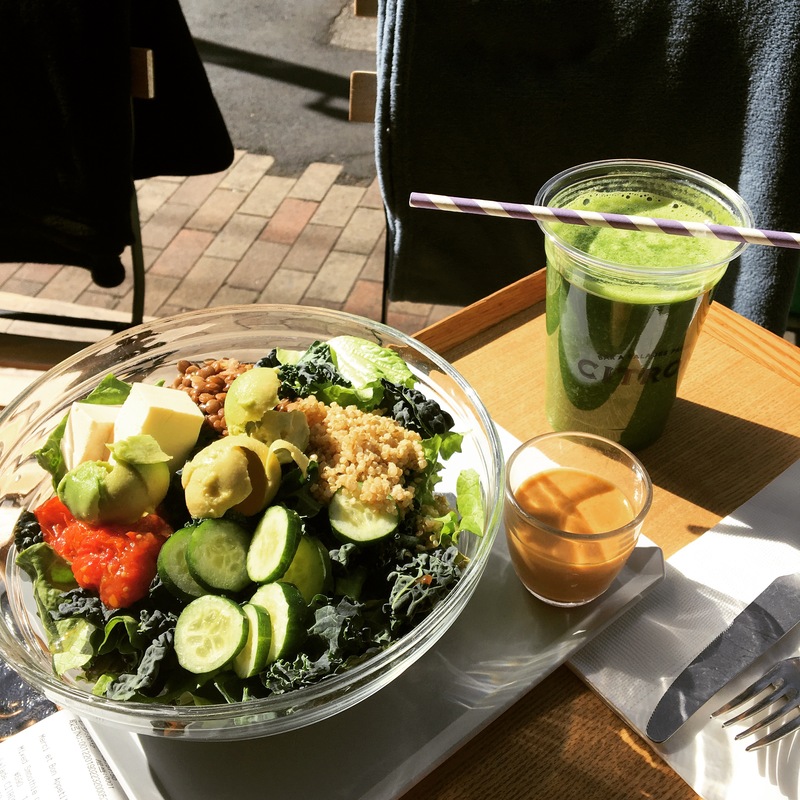 Here pictured is our signature CITRON salad and our Kale smoothie! Bon Appétit! 🍋😋 Happy Sunny Friday! 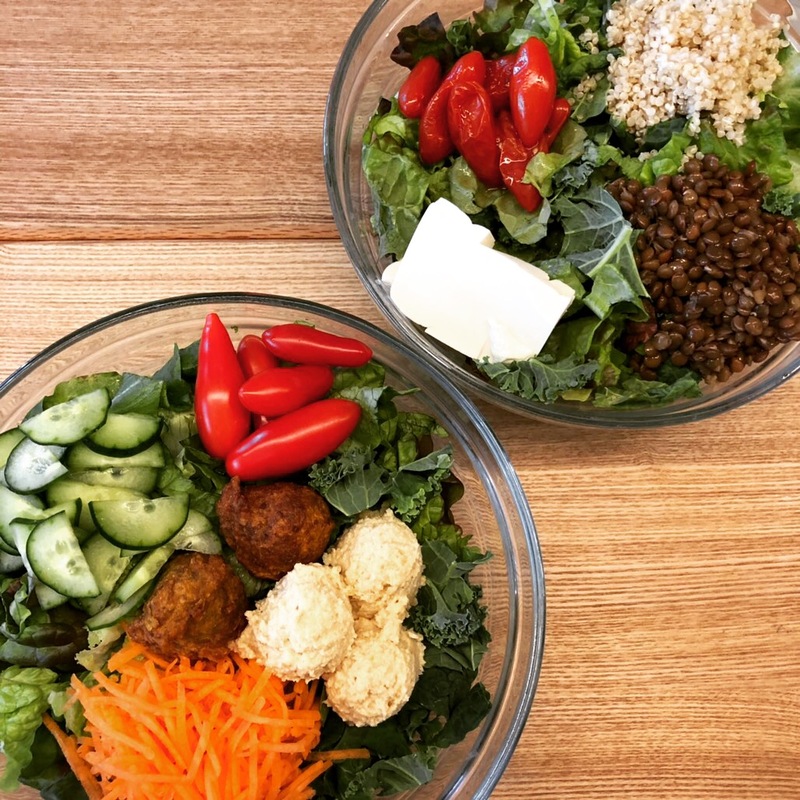 Perfect day for a filling salad! Let’s have a Raymond salad today. Homemade Ricotta Cheese, Corn, Carrots, Beetroots, Short Pasta and Free-Range Boiled Egg. Bon Appétit! 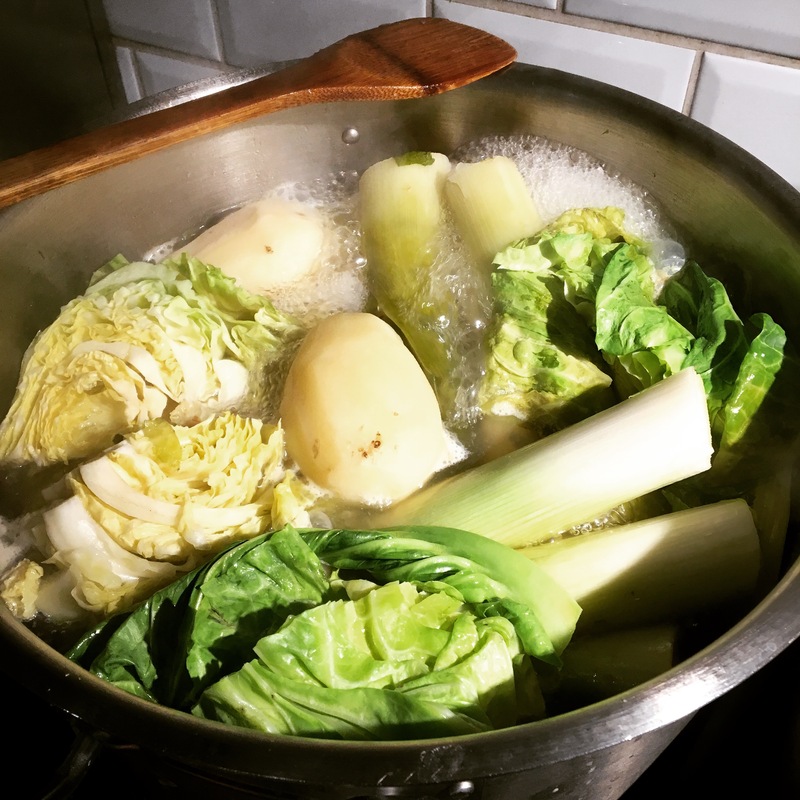 – our vegan [Celery Potage]!! Bon Appétit! 🍋😊 What a gorgeous day! Please come visit us with your 🐶. We are open until 7pm. 🍋😣 What a freezing day again!! 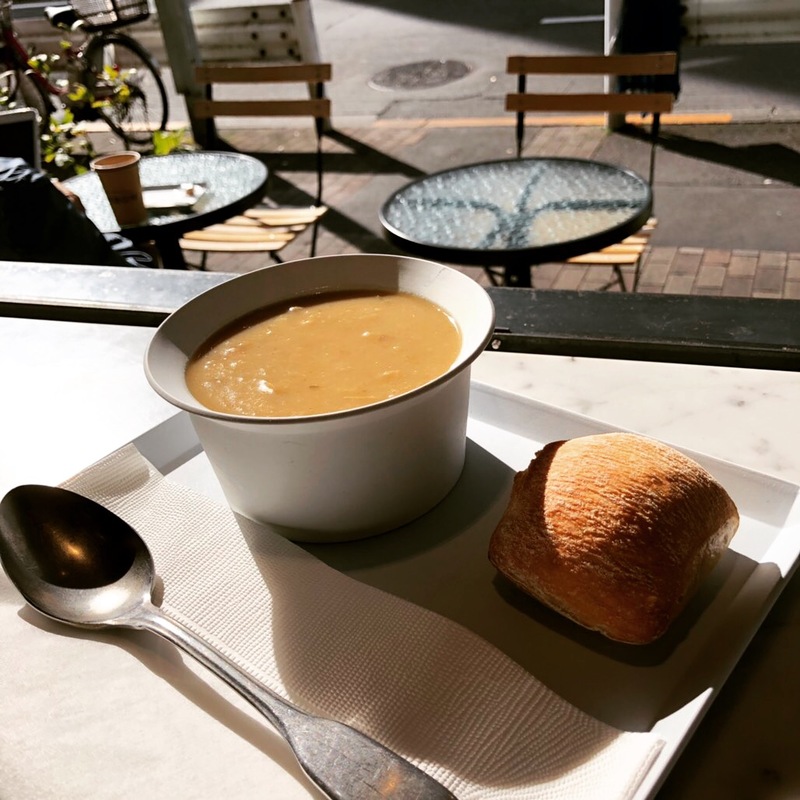 To warm you up, why not trying our hot soups? 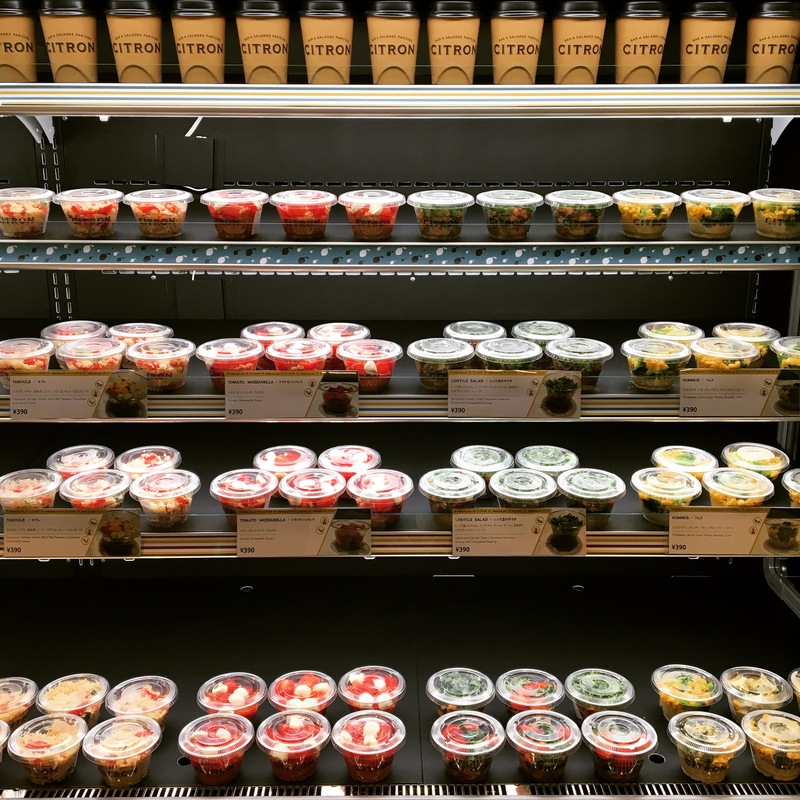 You can choose between our Tomato, Kale and Kidney Beans and our Lentils, Carrot and Coconut Milk. And they’re both vegan! Bon Appétit!! 🍋♥️ Have you tried our new Sandwiches yet? 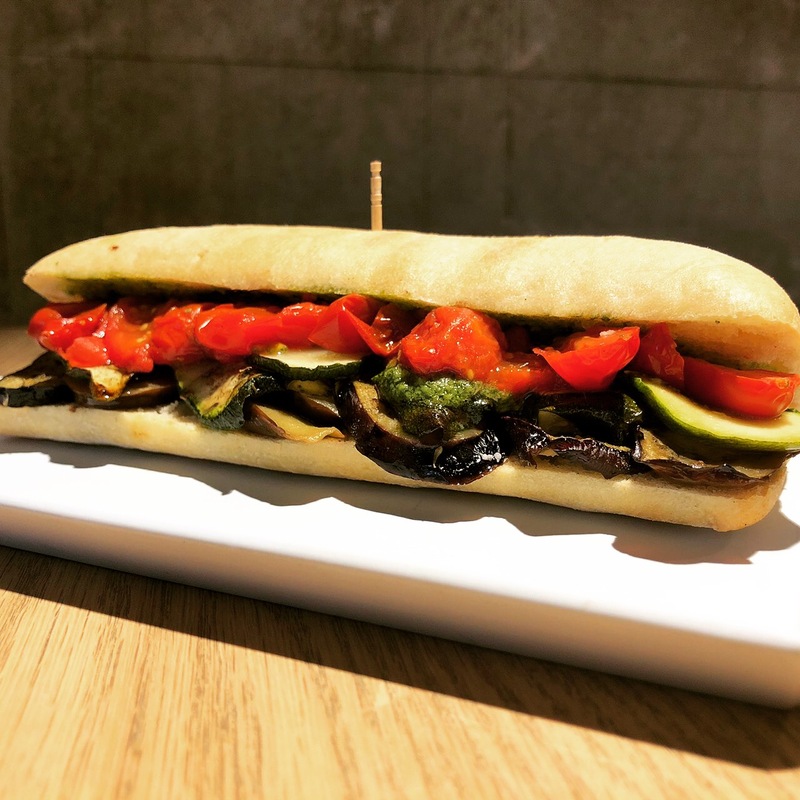 [Le Parisien], [Les Légumes Grillés] and [Le Bolognaise] are waiting for you at #citron_aoyama and #citron_otemachi. 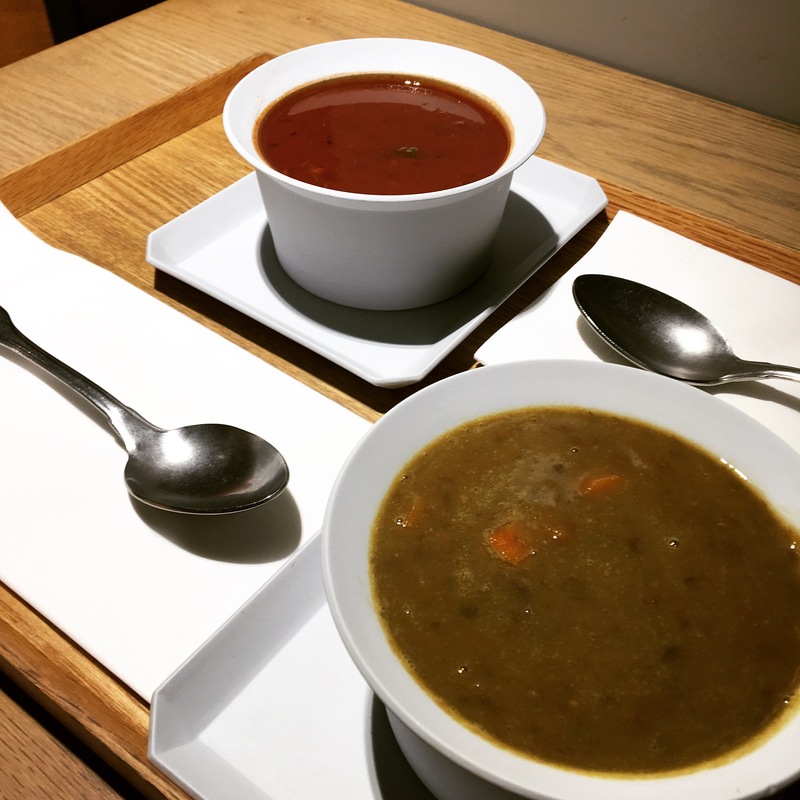 A la carte at 590 yen and new lunch set at 990 yen with Soup and Side Salad!! 🍋😵 Morning everyone! What a freezing day!! 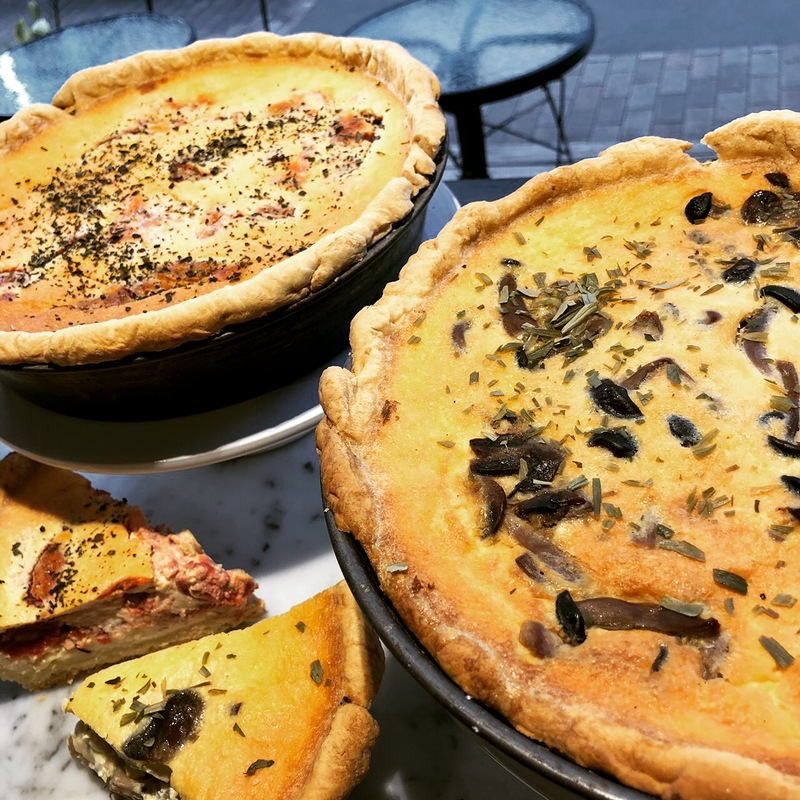 Why not get out of bed to get our yummy Quiches today? 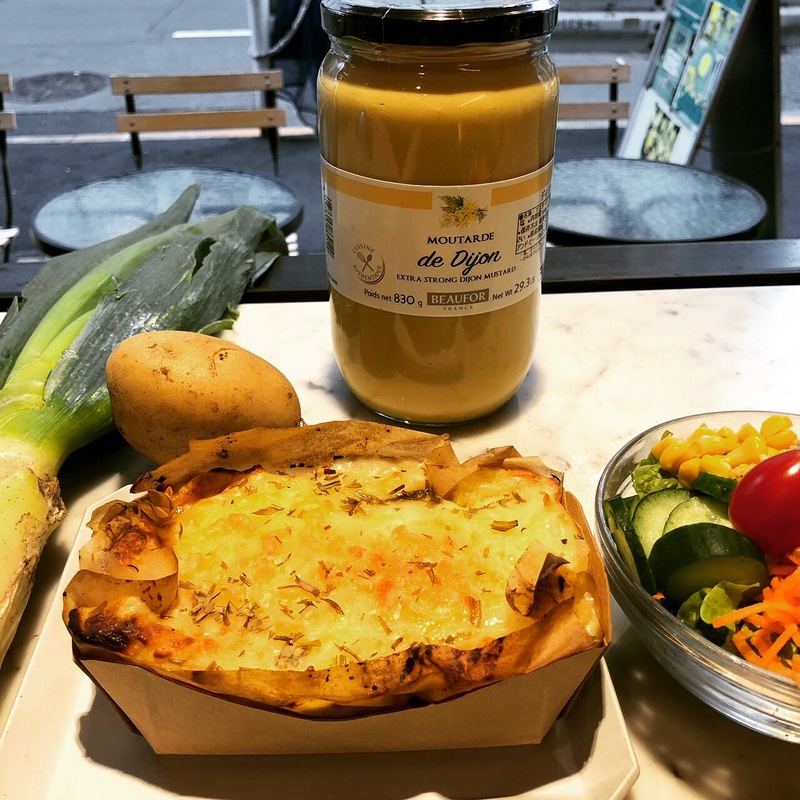 La Poireau has Leek, Potato, Mozzarella Cheese and Turmeric. 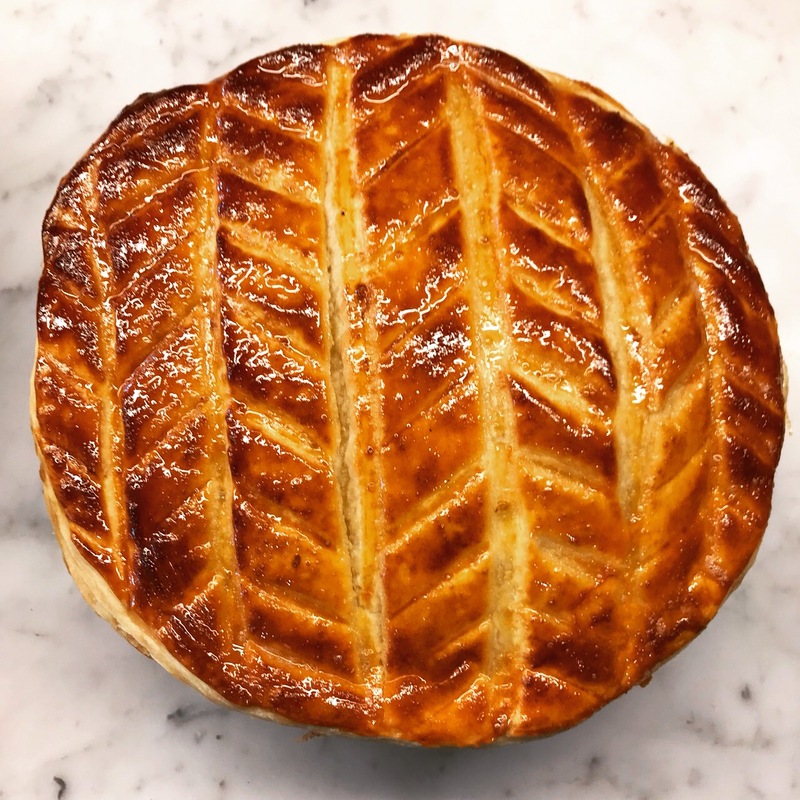 The Winter Veggie Pie is full of Carrots, Turnip, Mushrooms and Green Peas! Bon Appétit! 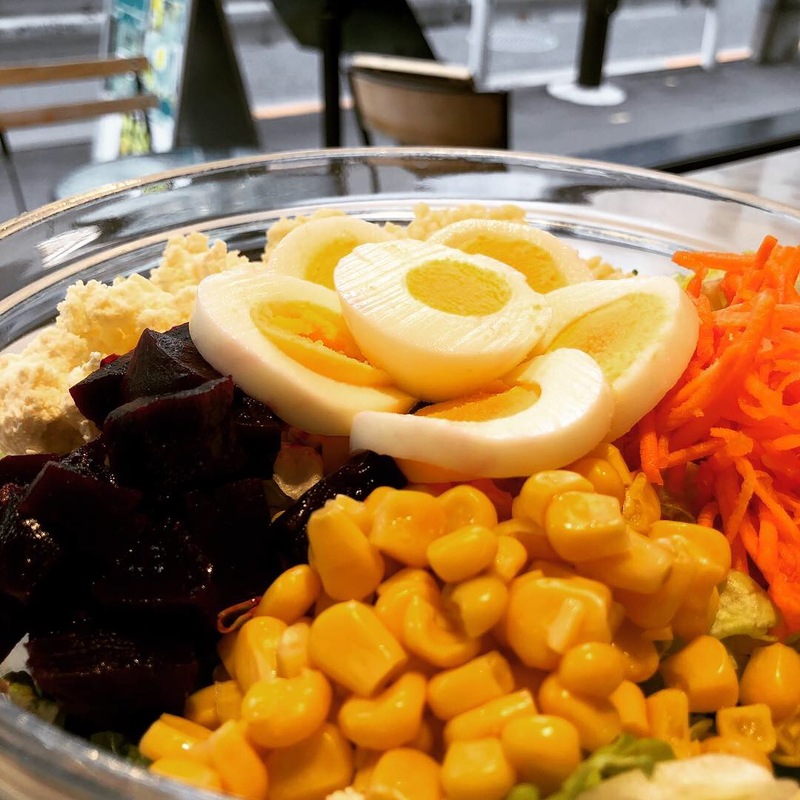 🍋🕺🏼 Let us introduce our new Parisian salad for February. 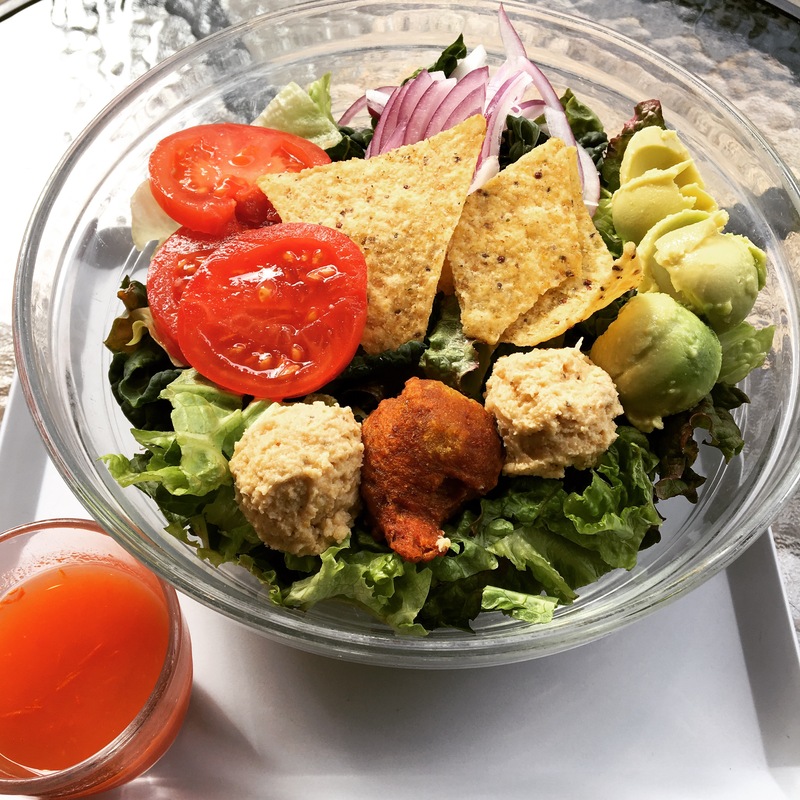 You will love this vegan salad made of handmade Hummus and Falafels, Red Onions, Tortilla Chips, Avocado and Tomatoes. It is paired with our new Spicy CITRON dressing (Lemon juice, Cherry Tomatoes and a hint of Cayenne Pepper). A Mexican feel in Paris! Bon Appétit!! NEW!! 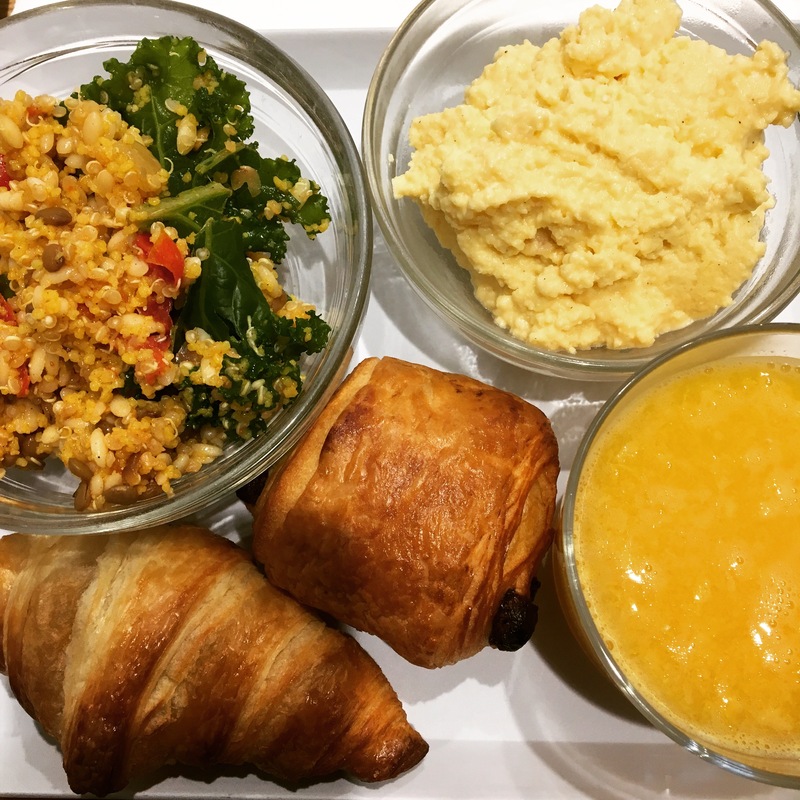 HOT MEAL: VEGAN COUSCOUS! 🍋😊 A wider selection for you! 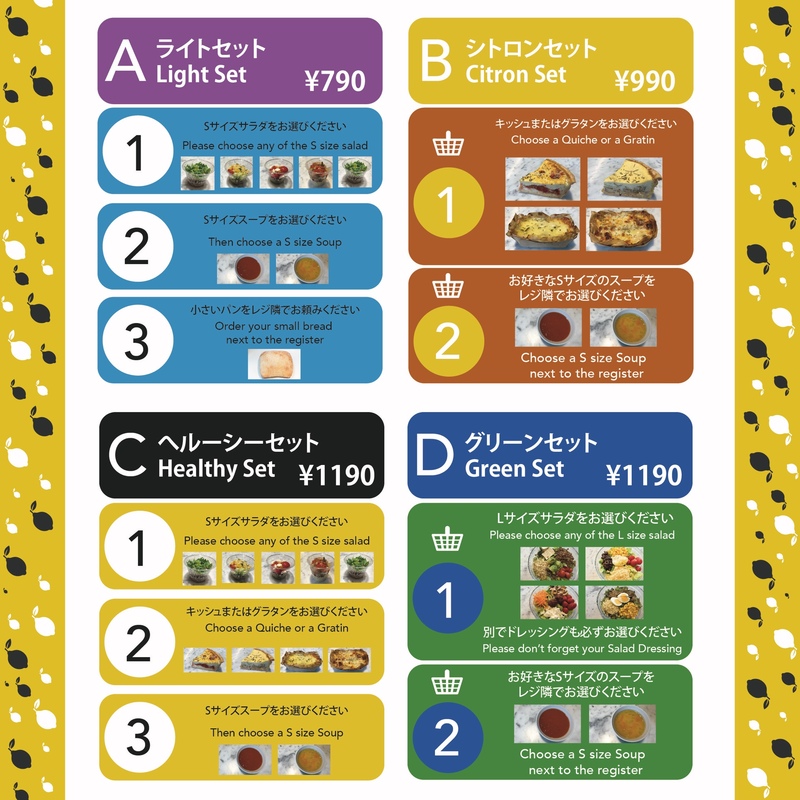 From today, the Gratin in the C set can be replaced by a “Hot Meal” which changes everyday! Today’s Hot Meal is a Vegan Couscous! Available all day. Comes with a mini salad. Bon Appétit!! 🍋🤧 Freezing day today again!! 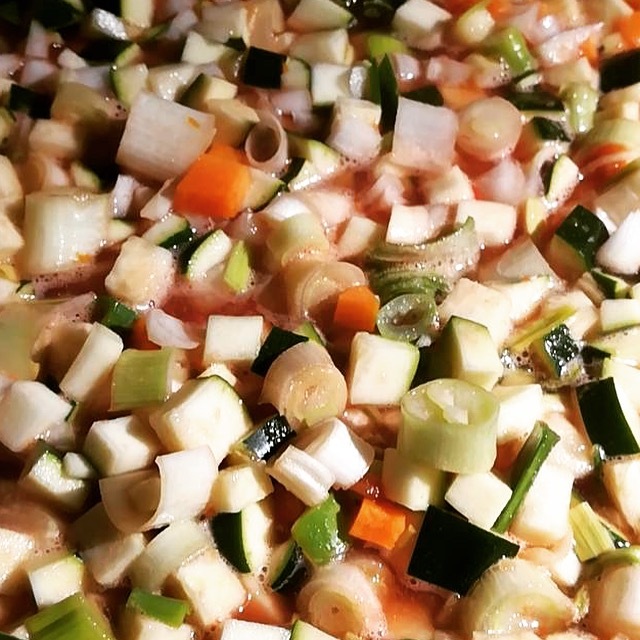 What about trying our homemade Winter Vegetable Potage to make you feel warm inside!? Bon Appétit!! 🍋🍋 Such a cold and grey day!! 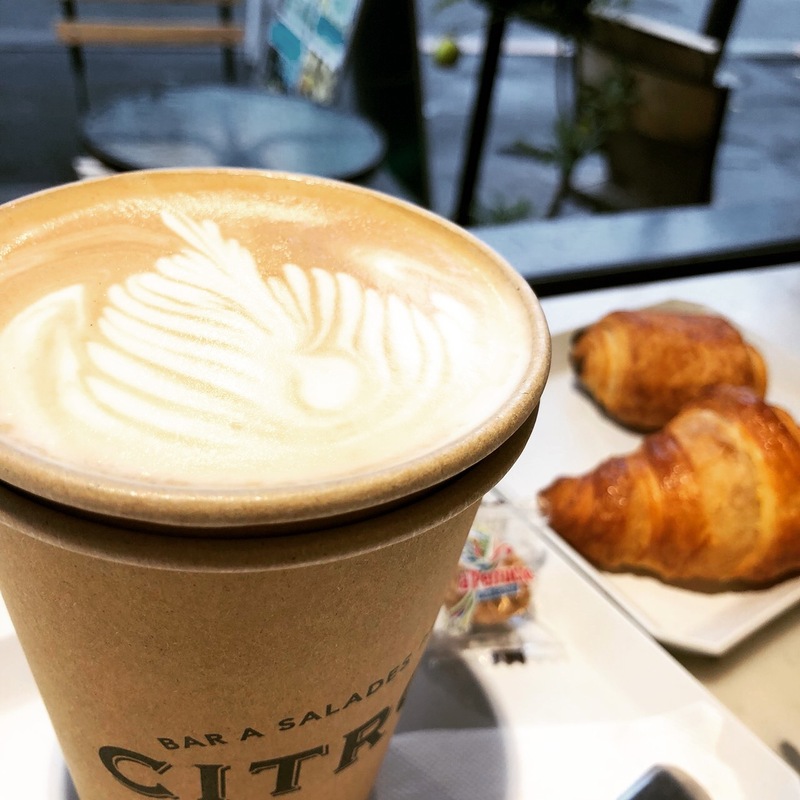 Our CITRON team wishes you a Happy Monday! May the force be with you! 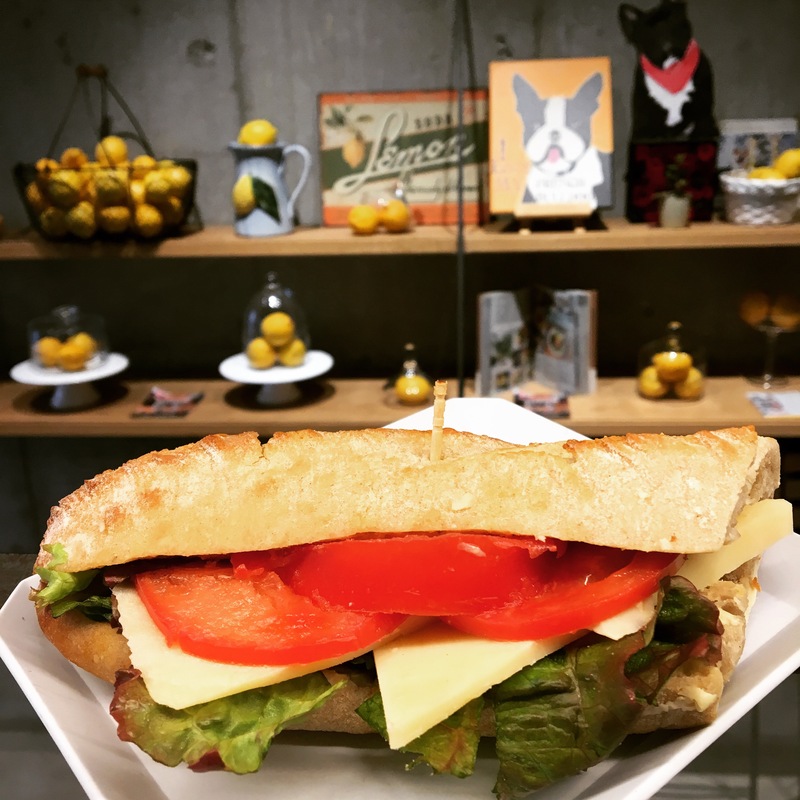 🍋🥙 Our French sandwiches start on Feb4th! Stay tuned! 🍋🥗 Morning everyone! Fancy a salad today? 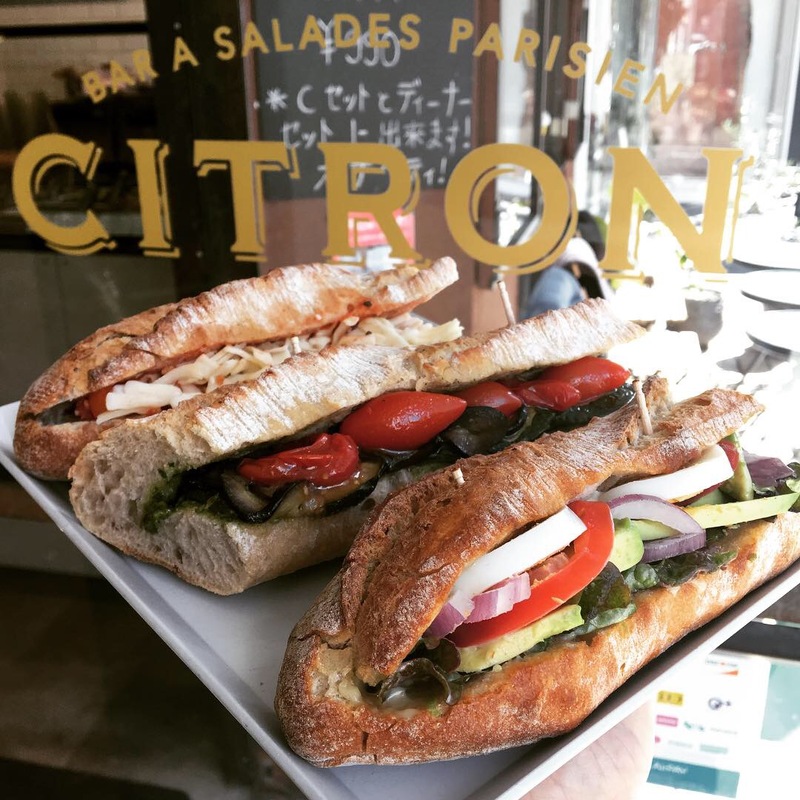 At #citron_aoyama and #citron_otemachi you can choose between CITRON, Chef, Parisienne or Raymond salads to have a healthy, organic and balanced meal! Bon Appétit! 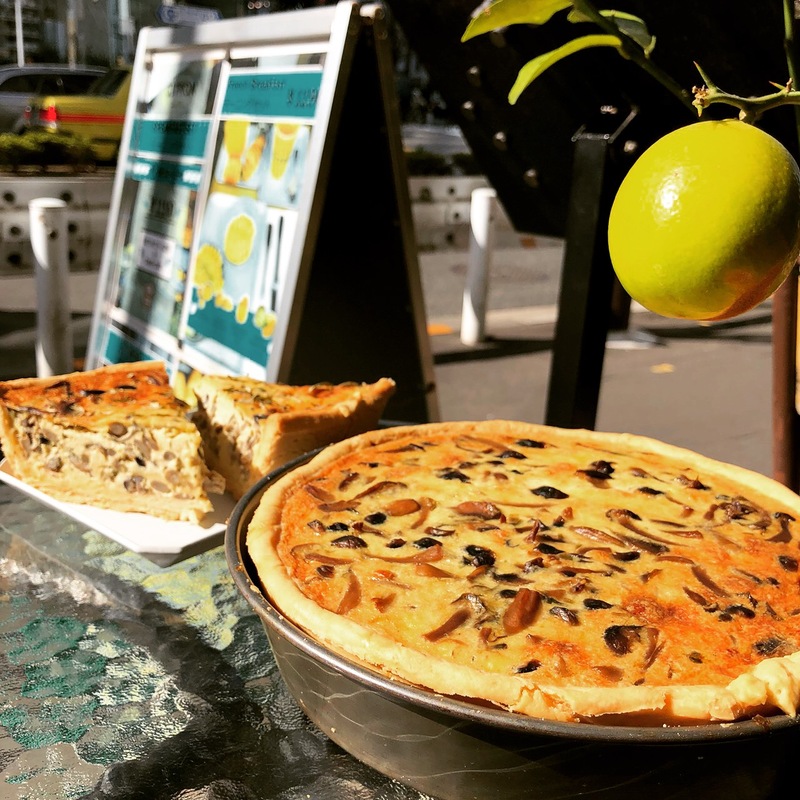 🍋🤤 Today let’s have a Quiche! 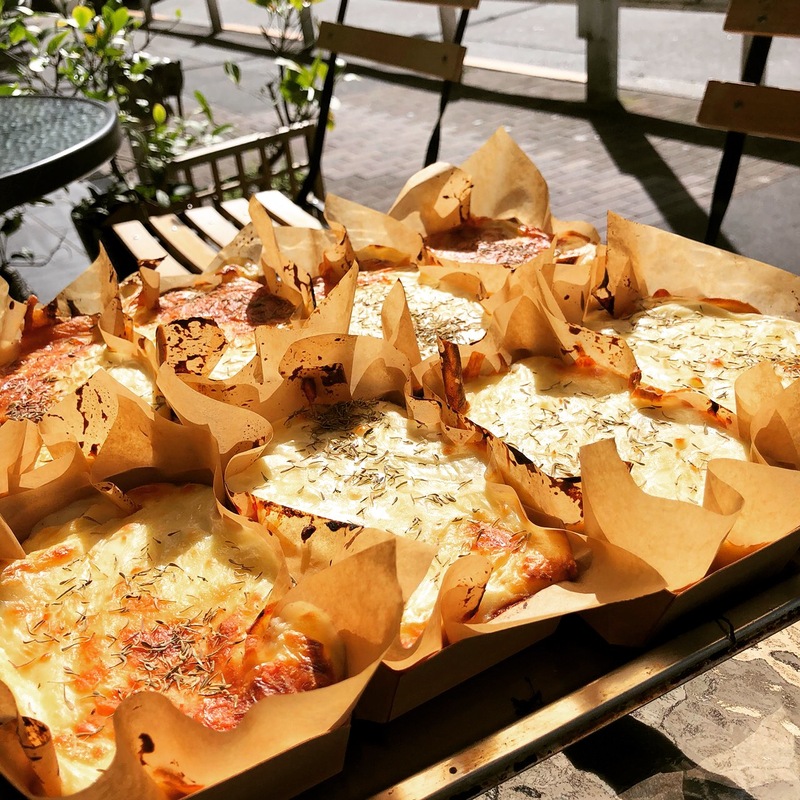 You can choose between La Margherita made with Tomato, Mozzarella Cheese and Basil or La Champignon with Paris Mushrooms, Shimeji, Parmigiano Cheese and Tarragon Herbs. Bon Appétit! 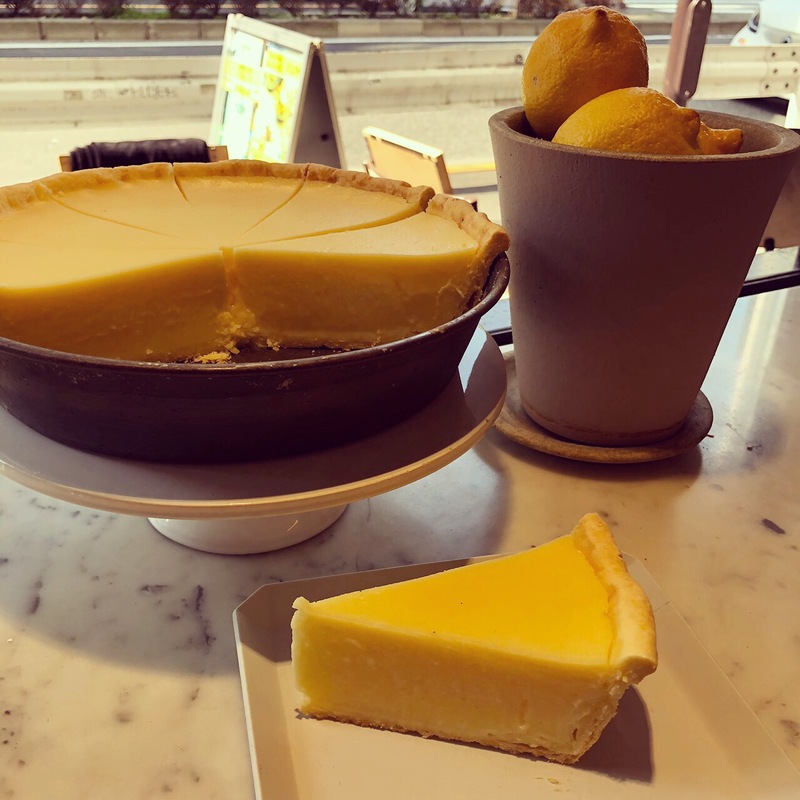 🍋😊 Our popular Vanilla Flan is back! 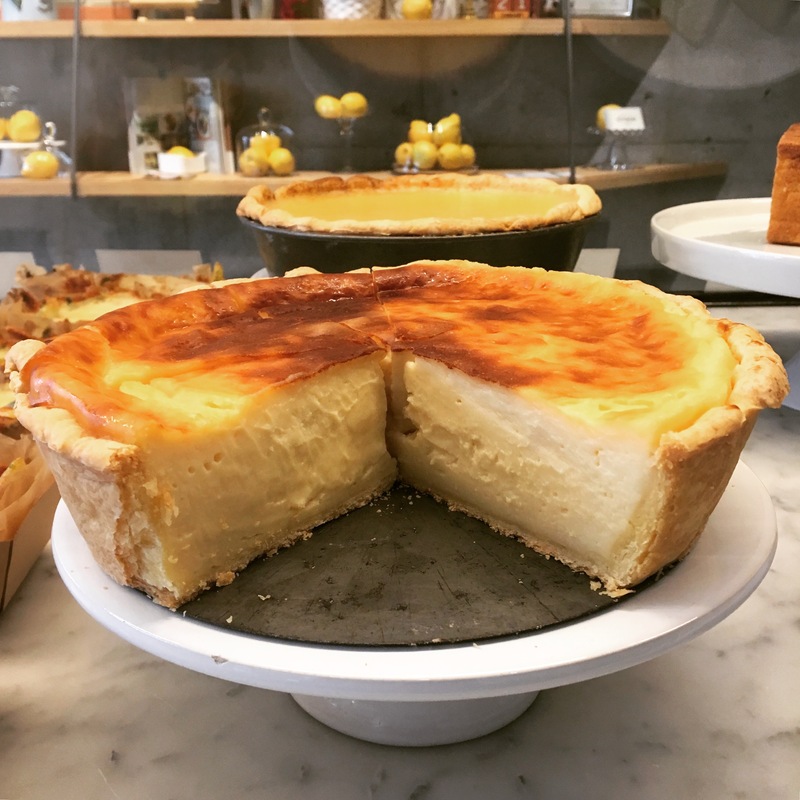 You will fall for its creamy vanilla custard taste! Available from today in lunch sets, afternoon sets dinner sets and a la carte. Bon Appétit! 🍋🤤 To make you feel warm during these cold days, we suggest you our new gratin La Fondue! 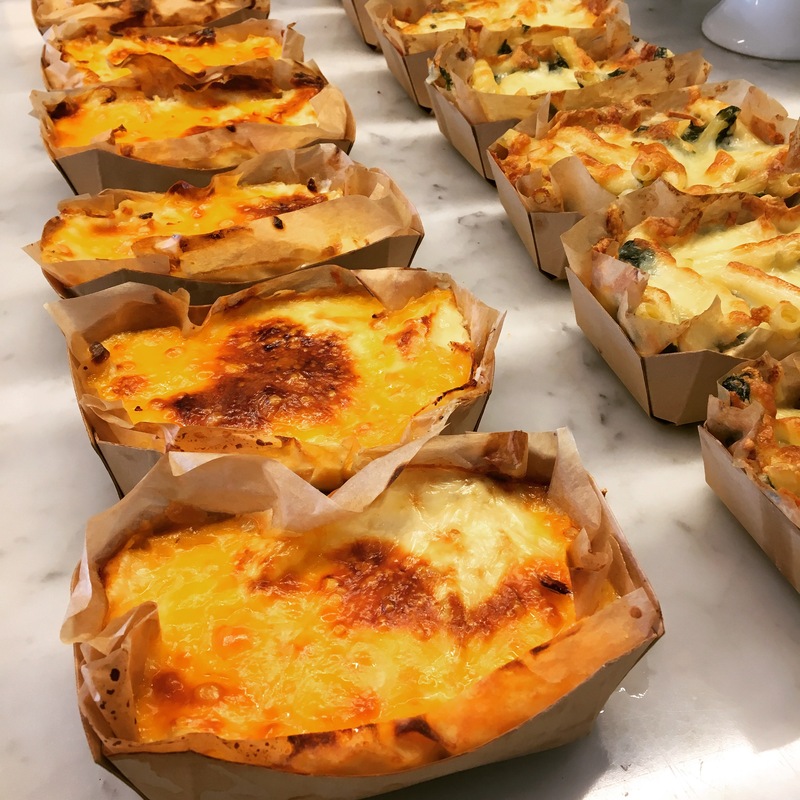 The potatoes are baked in fresh cream and blended with 3 kinds of cheese Mozzarella, Red Cheddar and Parmigiano!! Let’s get cheesy!! Bon Appétit!! 🍋😃 Happy Sunday! 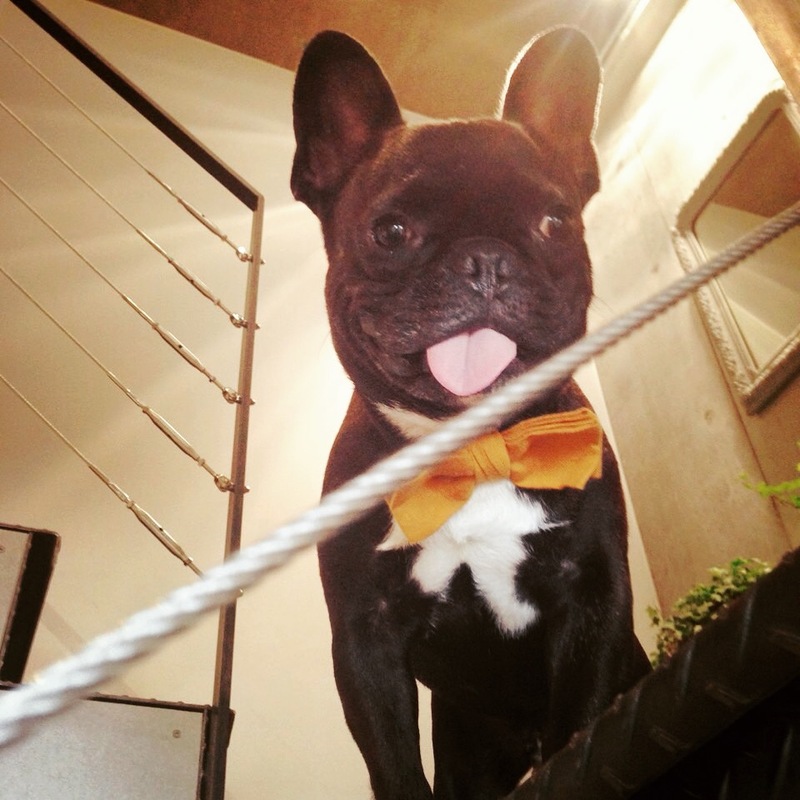 Today is Dogs’ Day at #citron_aoyama! 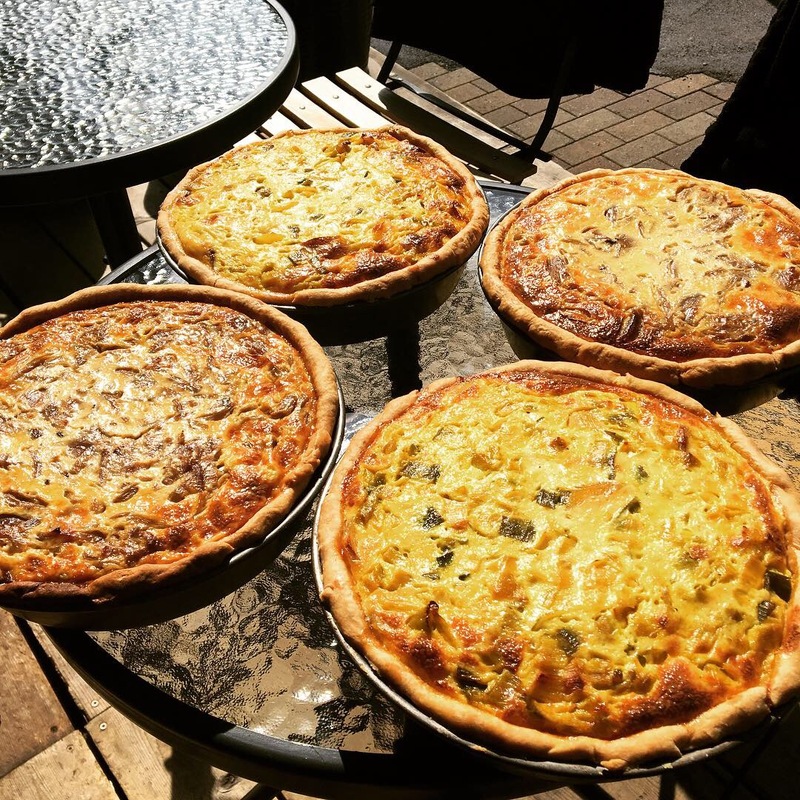 Perfect weather to try one of our yummy quiches!! La Margherita : Tomato, Mozzarella, Basil or La Champignon: Mushrooms, Shimeji, Parmigiano, Tarragon Herb. Bon Appétit! 🍋🌱 Let’s recycle together! 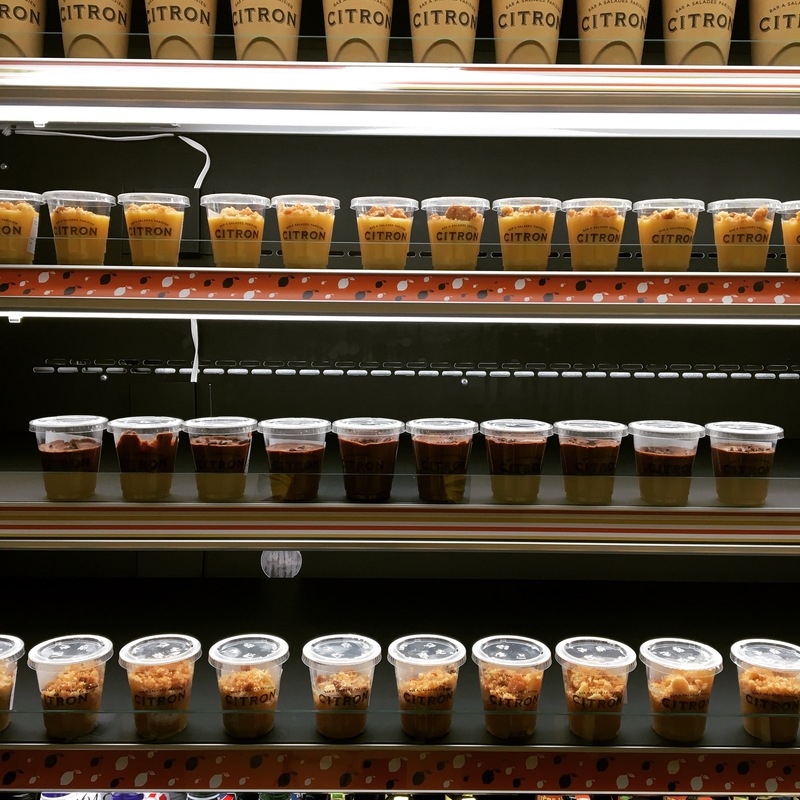 At CITRON we do not like plastic and try to use it as little as possible. That’s why our cups, boxes, straws and bags are made of paper. But we also want to recycle more!! 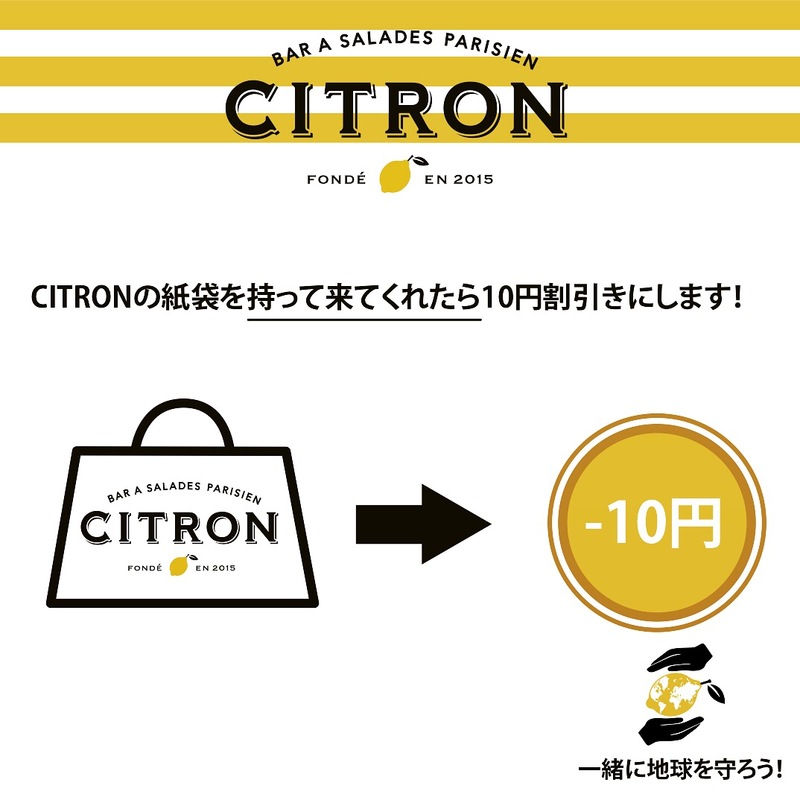 For take-away orders when you bring your own CITRON paper bag, we give you a 10 yen discount on our yummy food!! Let’s protect environment together!! 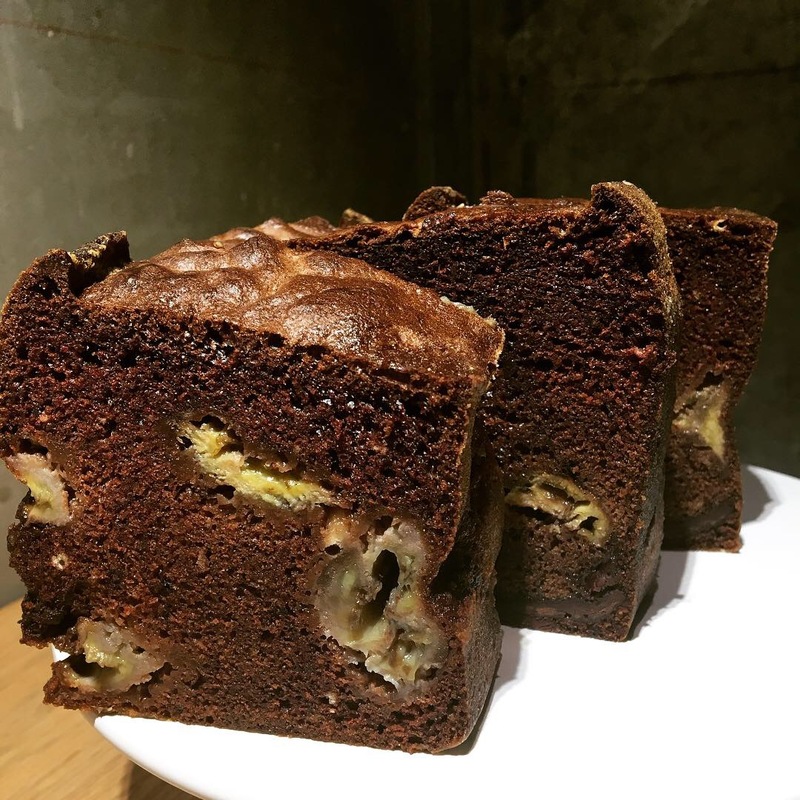 🍋🍰 Bye bye Banana & Chocolate Pound Cake! For the whole month of January we have prepared a yummy soft Lemon Pound Cake with a touch of Dark Rum!! Bon Appétit! 🍋😋 Back to work! It’s time for us to introduce our brand new January menu. 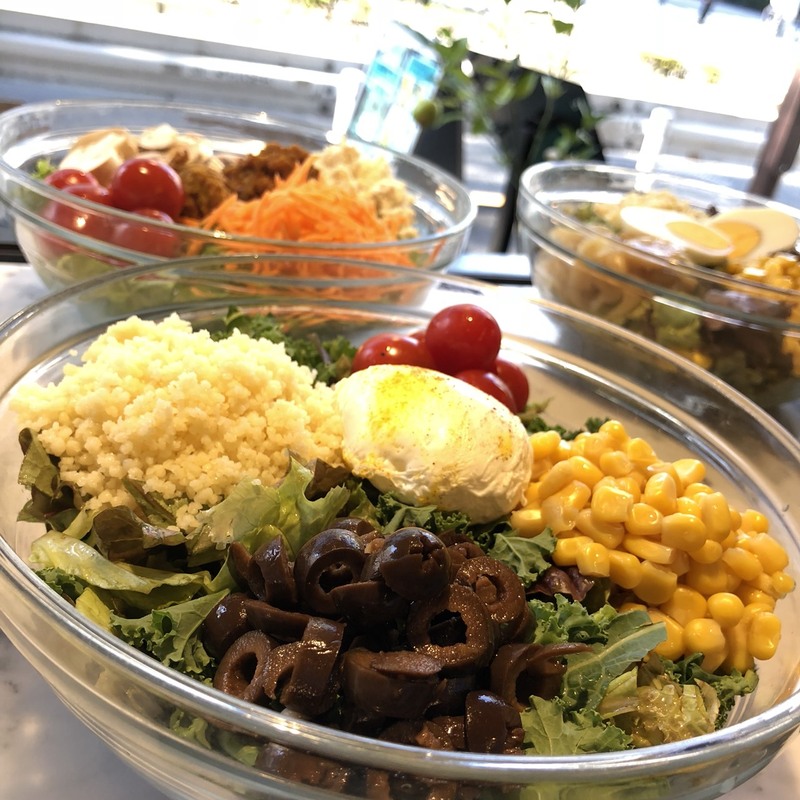 If you are on a “diet mode” after your Christmas holidays, why not trying our vegan salads? 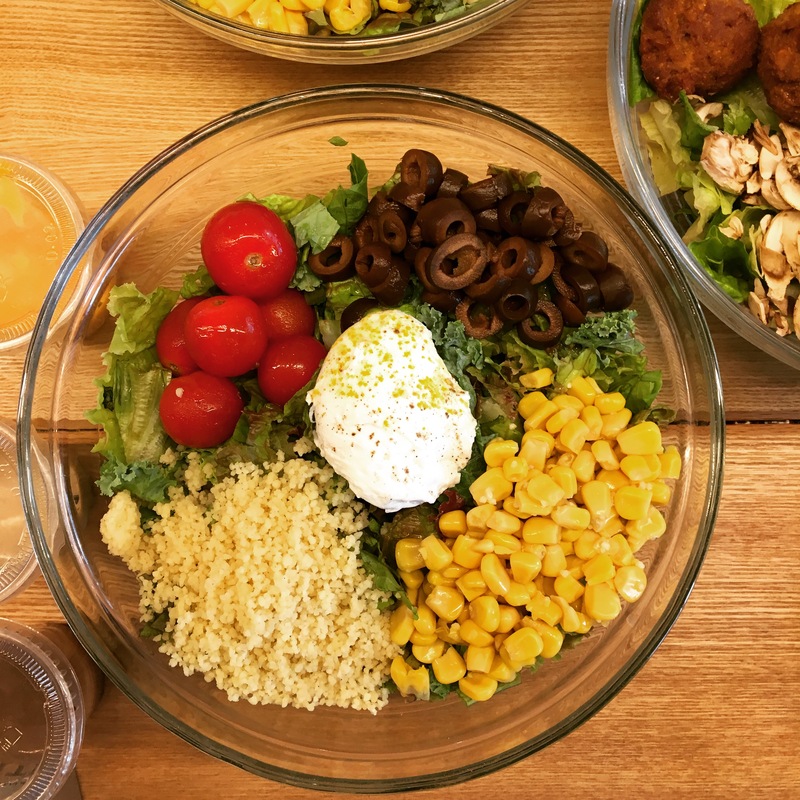 This month, our Chef’s salad is made of Mixed Leaves, Cherry Tomatoes, Cucumber, Carrot, Handmade Falafels and Handmade Hummus! When paired with some Sesame dressing, you will love it! Bon Appétit! 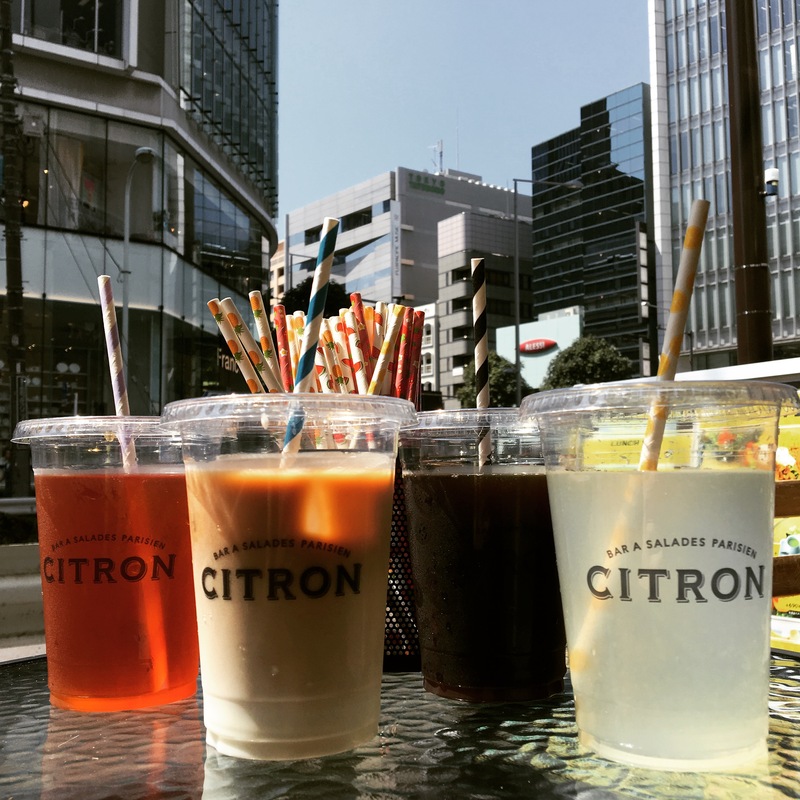 🍋💕 Dear CITRON customers from Otemachi and Aoyama. Your dear teams will take some well-deserved holidays from tonight! 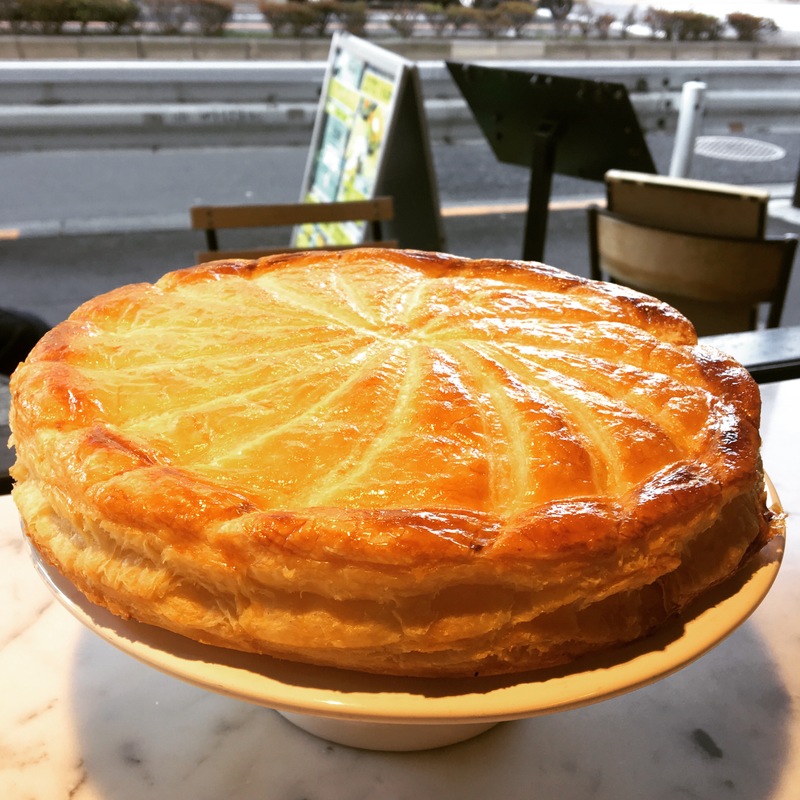 Aoyama will reopen on Jan5th (Sat) whereas Otemachi will reopen on Jan7th (Mon). Thanks for your constant support and have a wonderful holidays and happy new year with us!! 🍋🍏 Merry Xmas to everyone!! 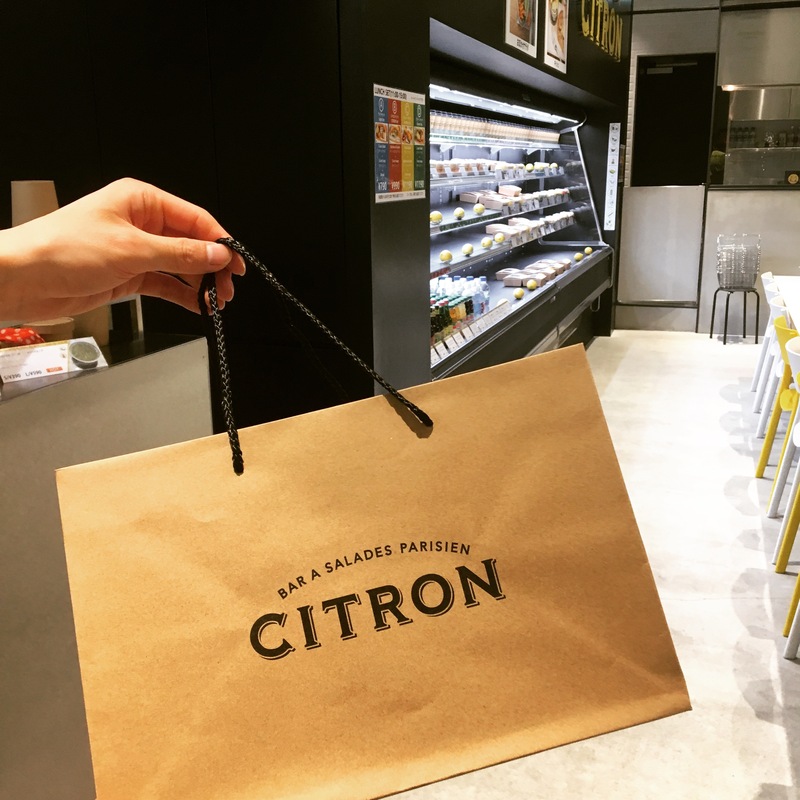 Your CITRON will be open as usual until Friday 28th, 4pm. 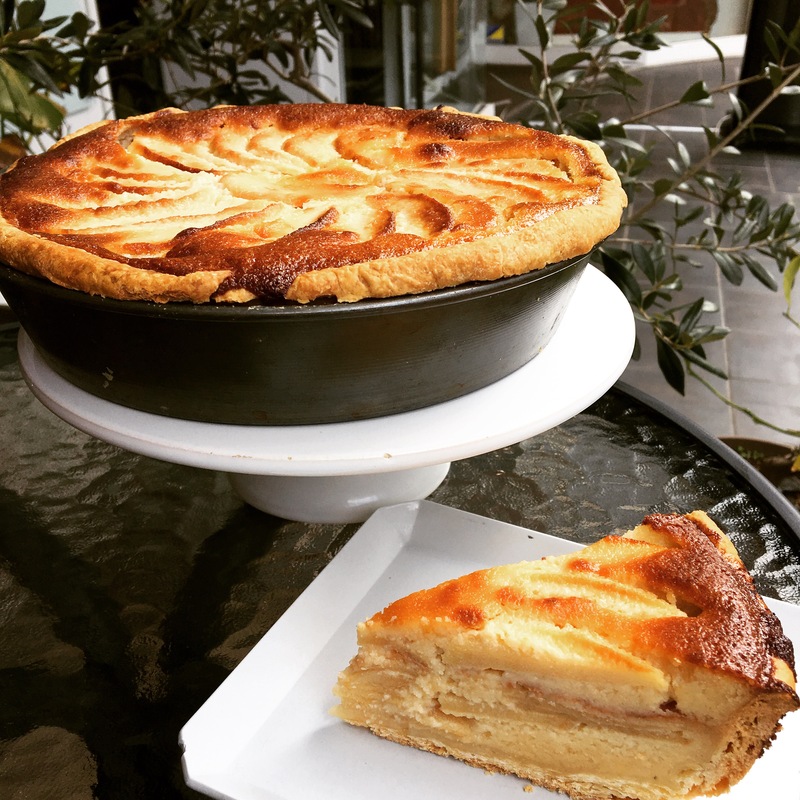 Few more days to get our beautiful and yummy Tarte Normande made of Fuji Apples and Almond Cream!! Bon Appétit!! 🍋😋 Did you know? 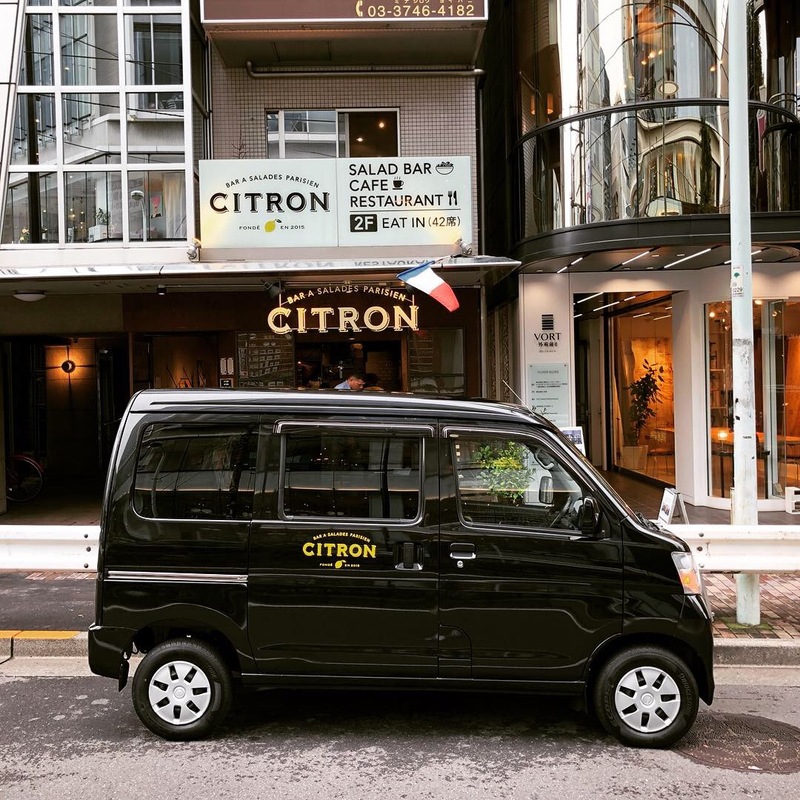 That our CITRON BOXES are available from 10am at #citron_otemachi and also now from UberEats!? 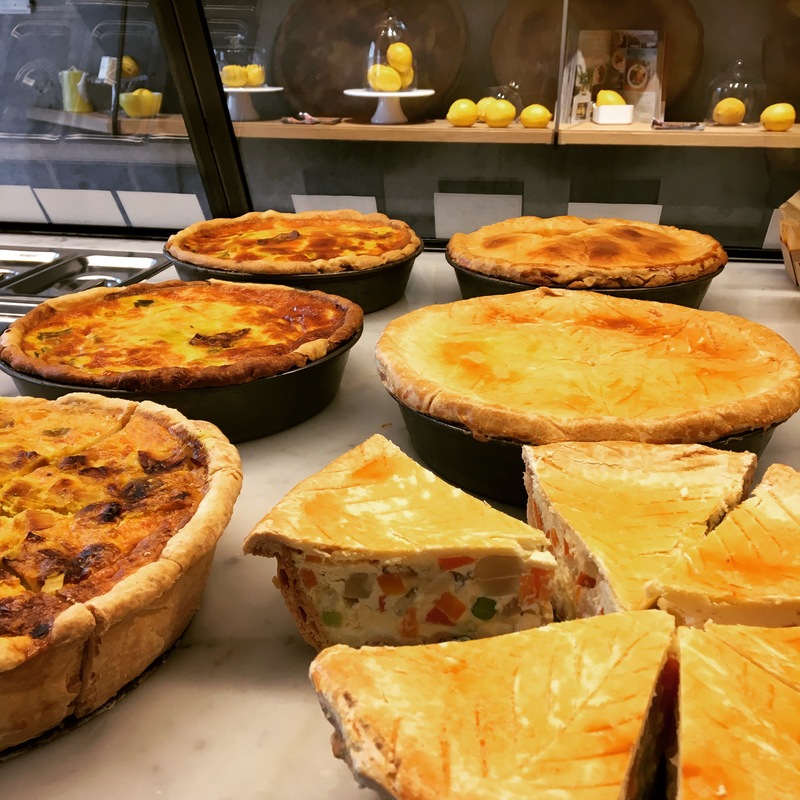 Come visit us and choose from the CITRON BOX Quiche or Gratin (we warm it up!). Bon Appétit!! 🍋🍲 Winter Food!! 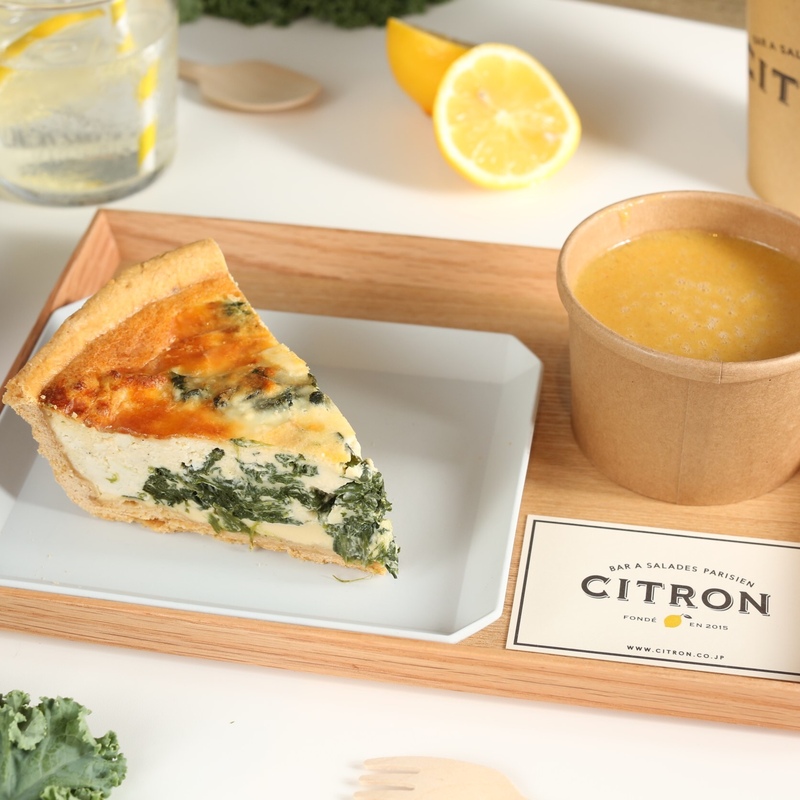 Because the weather is getting really cold we are starting the Gratin CITRON Box from today at #citron_otemachi!! 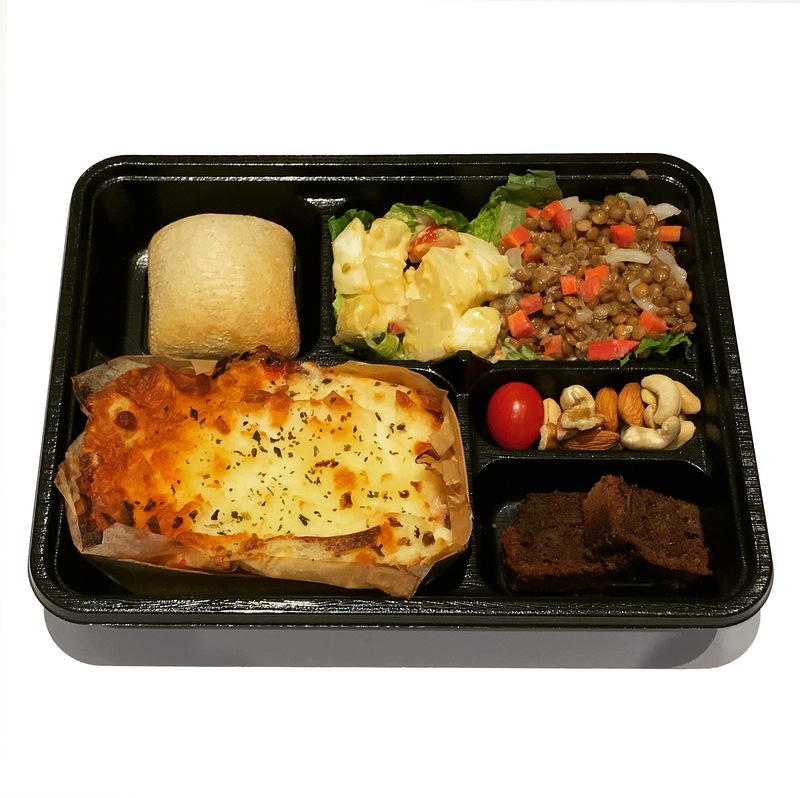 For only 990 yen you can have a hot gratin, salads, bread, nuts and pound cake! Bon Appétit!! 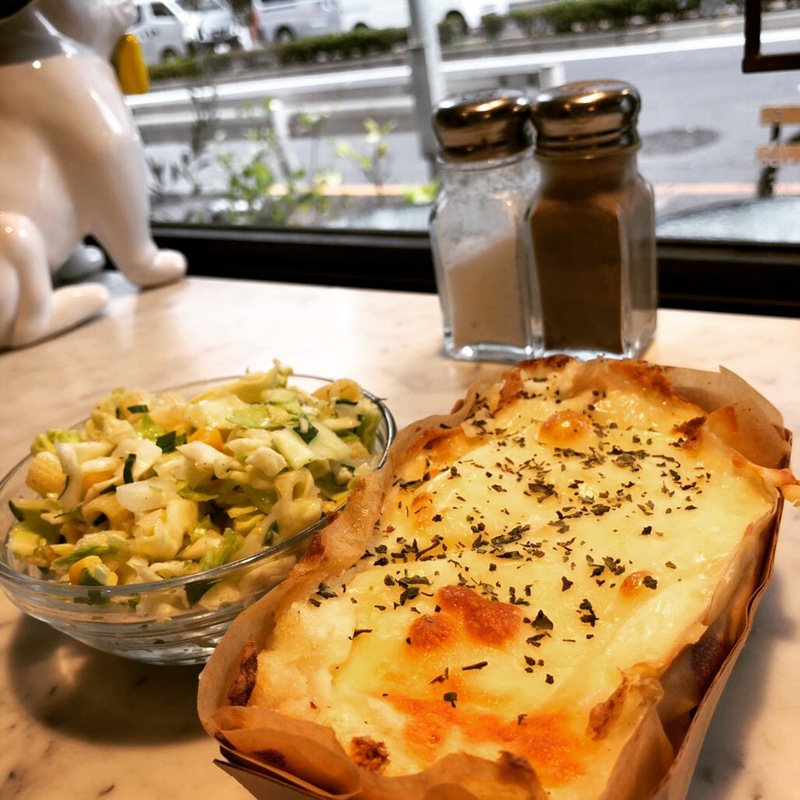 🍋😋 Here is our yummy Vegetarian Shepherd Pie (also called Hachis Parmentier in French). Made of handmade Mashed Potato, Carrot, Tomato Sauce and minced Soy Meat, it is the perfect dish for such a cold day!!! Please keep warm and have a good day! 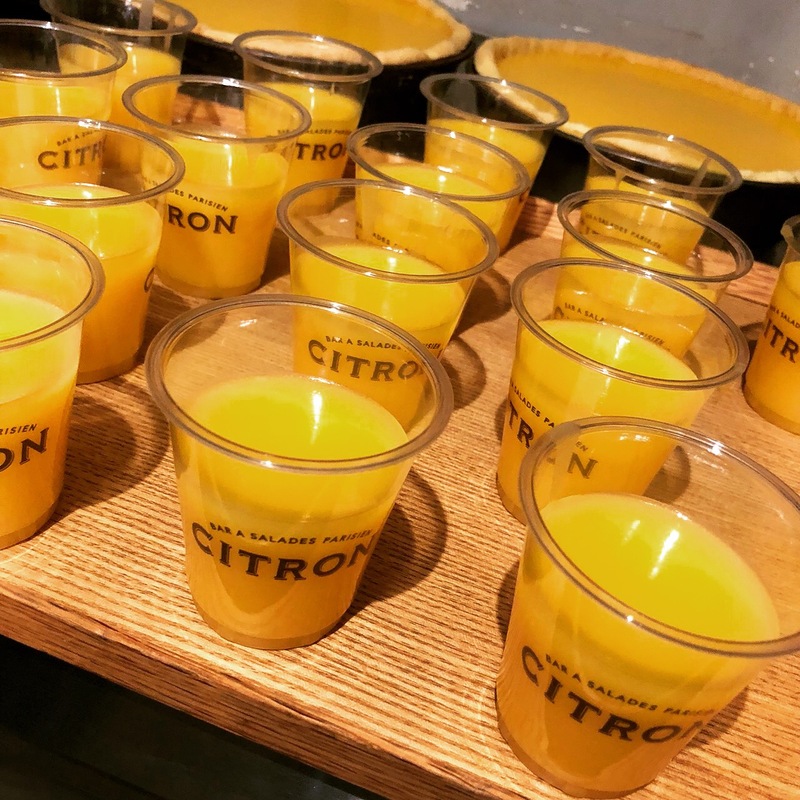 🍋😋 Fantastic catering and event in collaboration with @agnesb_officiel for the opening of their Aoyama gallery on 2F of their flagship. 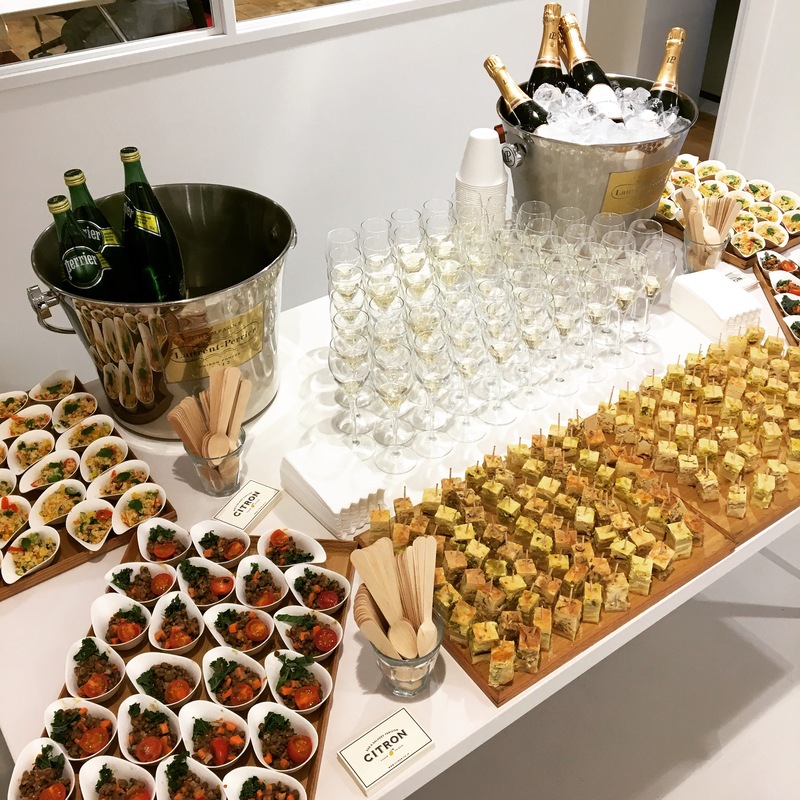 Delicious food, champagne and great people! Thanks for the opportunity and good fun dear Agnès B team! 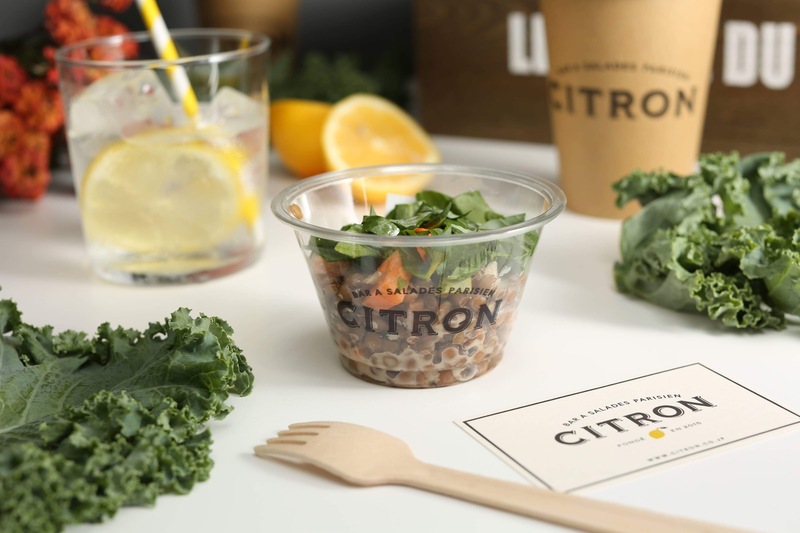 🍋🌱 At CITRON, protecting the environment is more than a necessity it’s a priority. 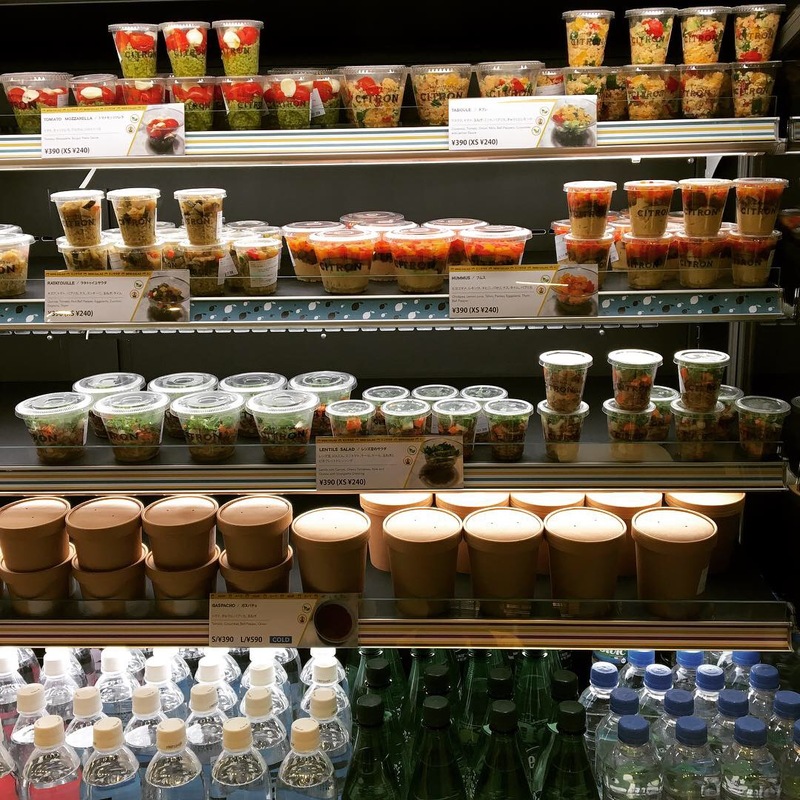 Hence our use of kraft paper boxes and cups instead of see-through single use plastic bowls or cups. Yes it’s more difficult to see what’s inside the boxes but our protecting our oceans are worth having a closer look at our food right? 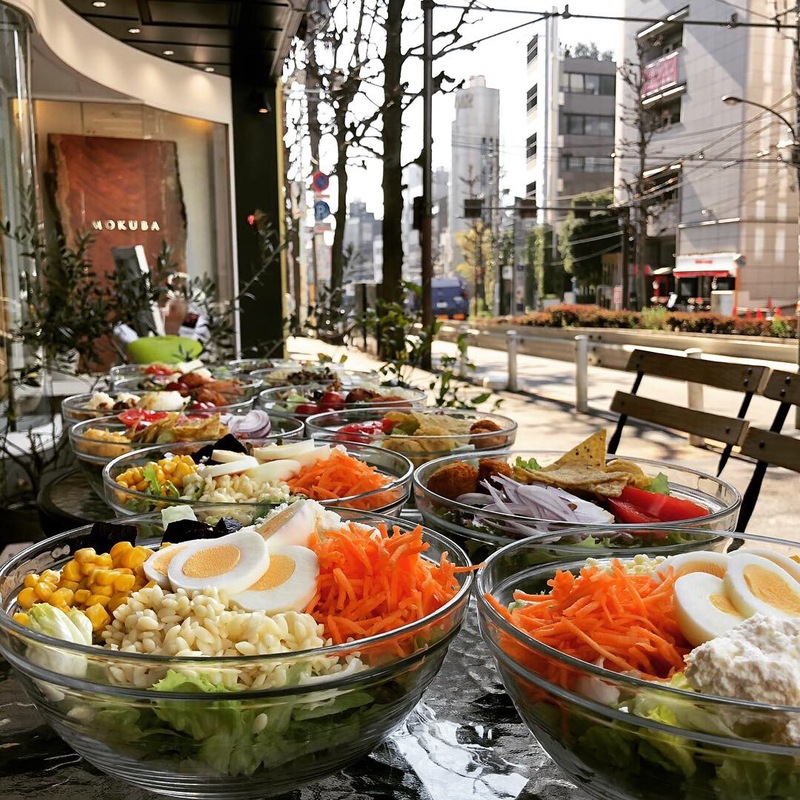 🍋☀️ Salad Day!! What a beautiful Monday morning! 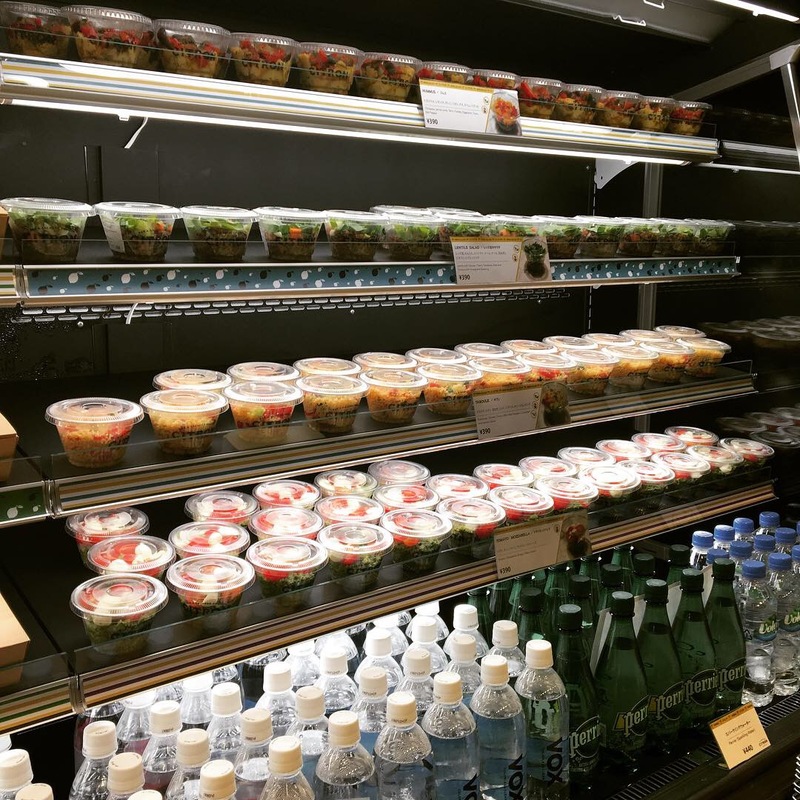 Why not having a salad at CITRON Aoyama or Otemachi today!? 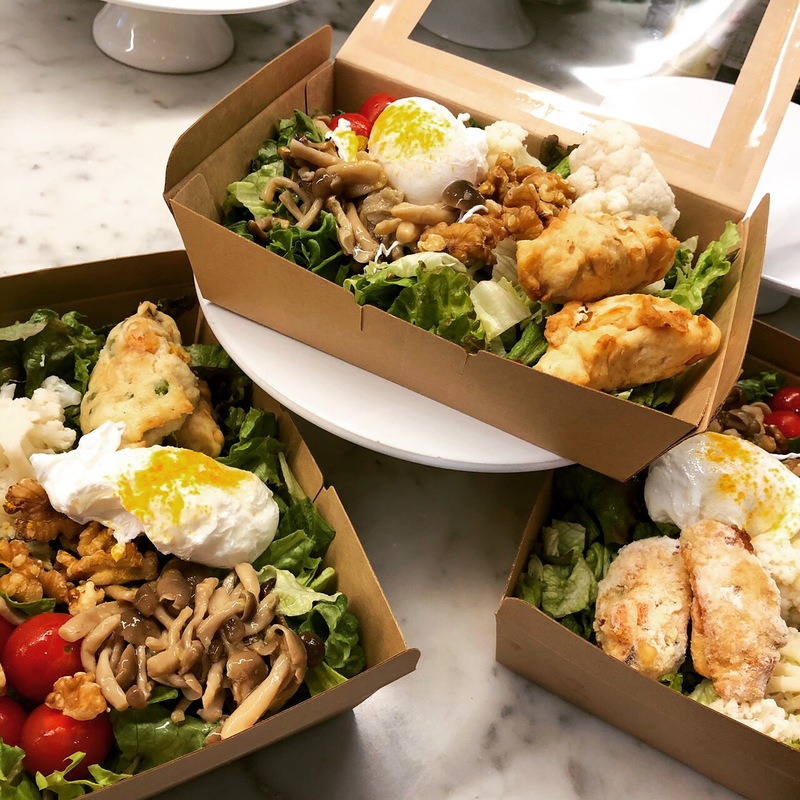 Here pictured are our Raymond, Chef and Parisienne salads. 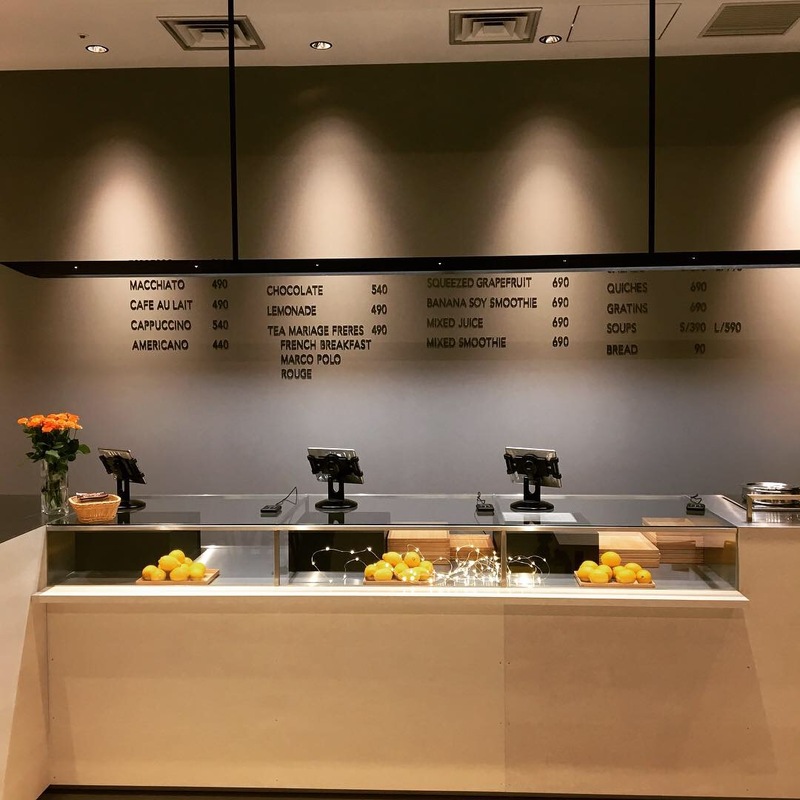 You can find all toppings and our menu online. 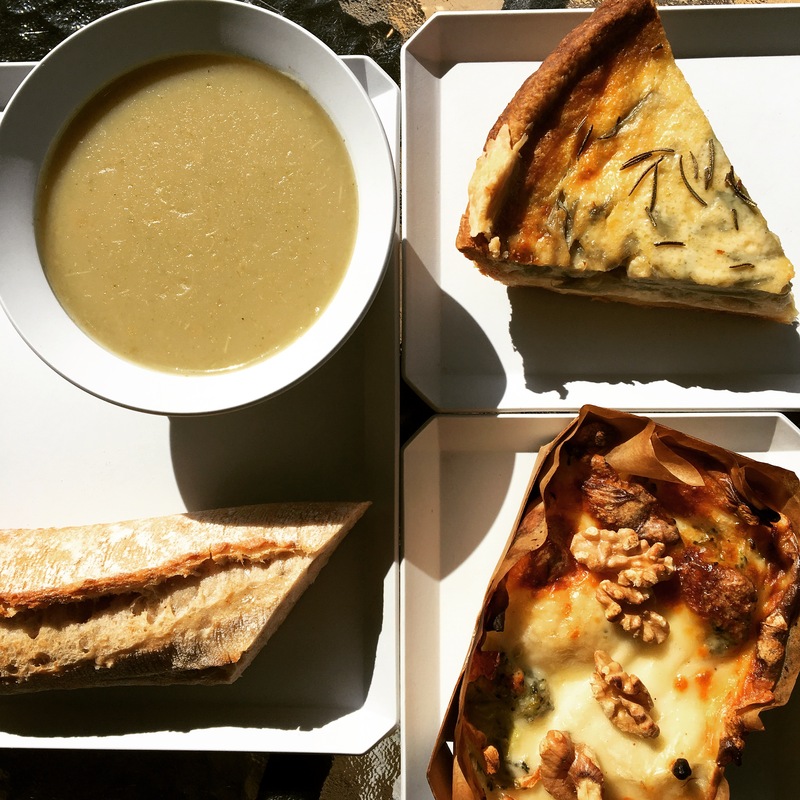 Have a great day and Bon Appétit! 🍋🌱 Our new vegan soup of December! It’s made of Cabbage, Potato with Tarragon herb! Perfect match for a colder weather! 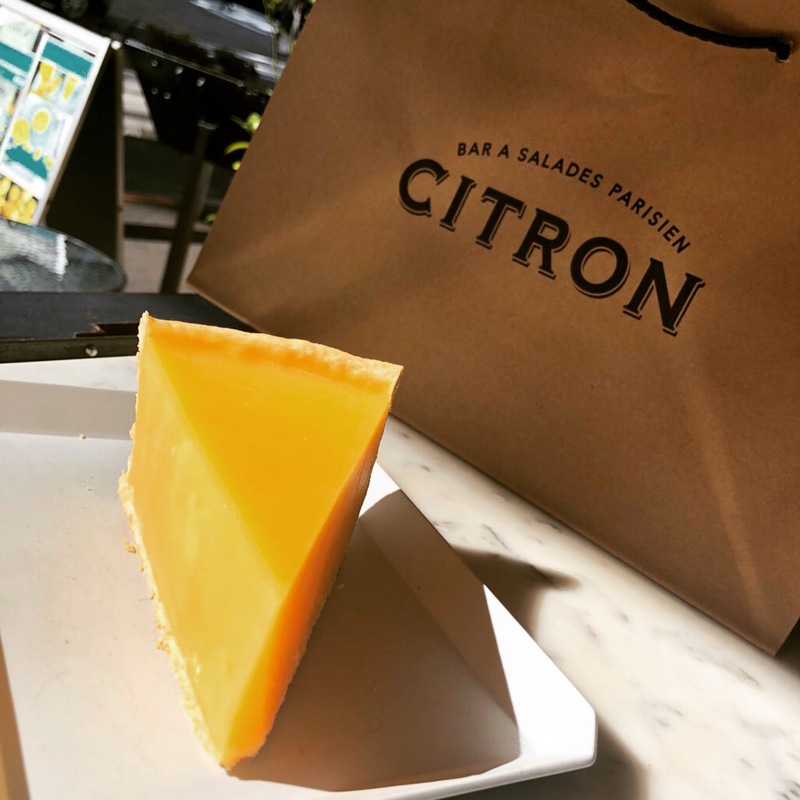 Looking forward to having you at CITRON! 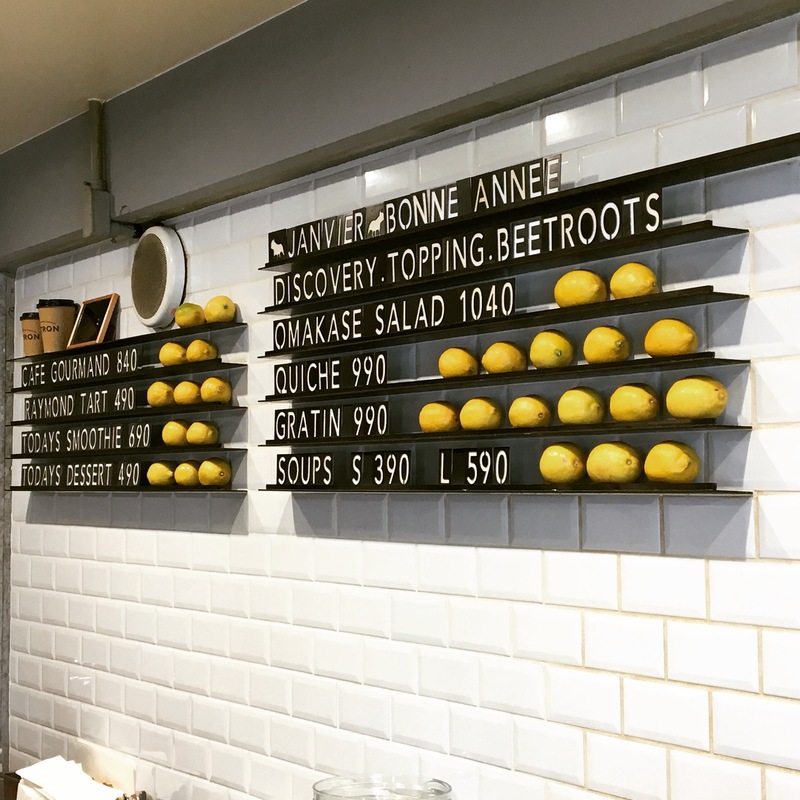 🍋🍃 Let us introduce you to our new December Parisian salad!! 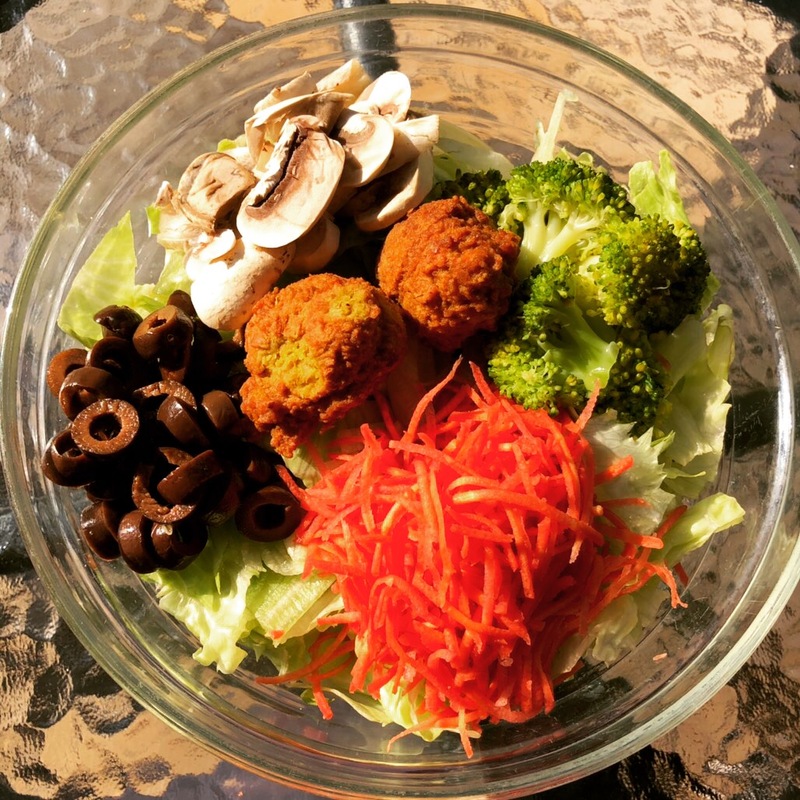 You will love our beautiful combination of Broccoli, Kintoki Carrots, Mushrooms, Black Olives and Homemade Falafels! And it’s vegan!! 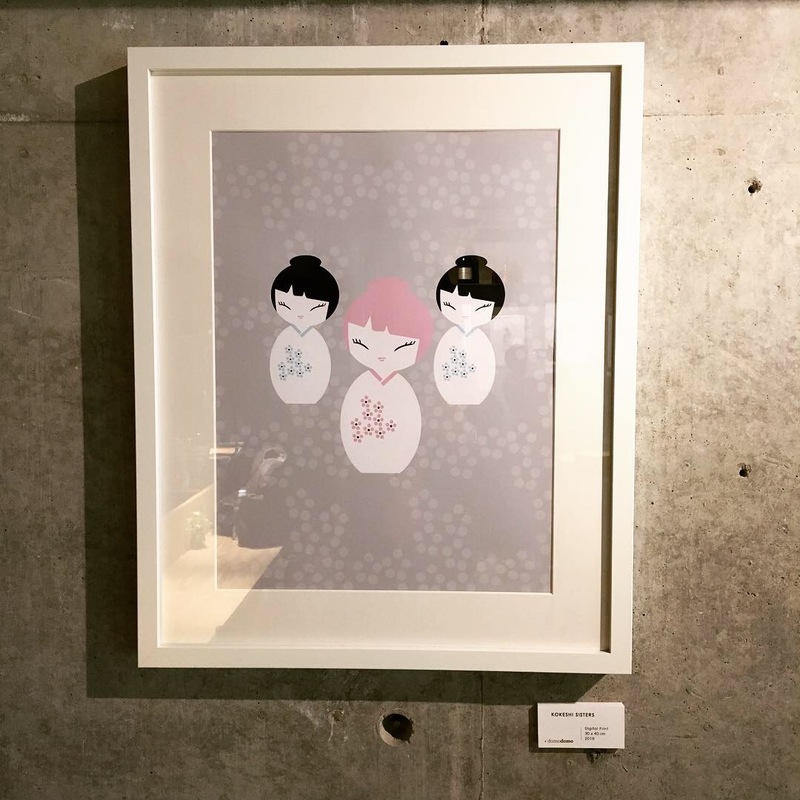 Available at Aoyama and Otemachi. Bon Appétit! 🍋😁 Good morning everyone! 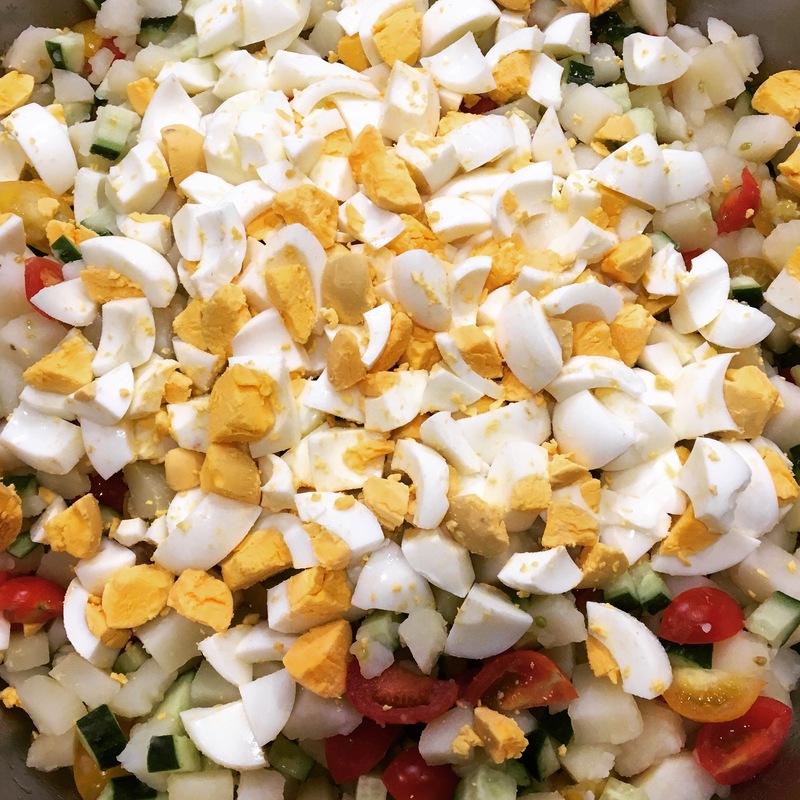 Question: What is the name of this very yummy French salad we are preparing with mayonnaise and vinaigrette? 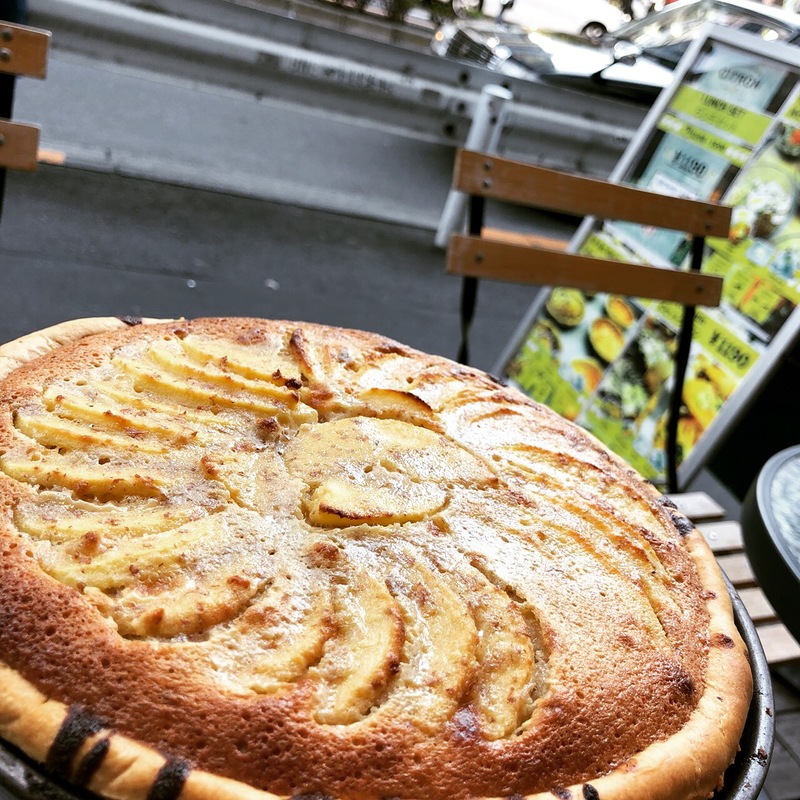 Come and try it at #citron_otemachi! 🍋🍁 December menu starts today!! Bon Appétit! 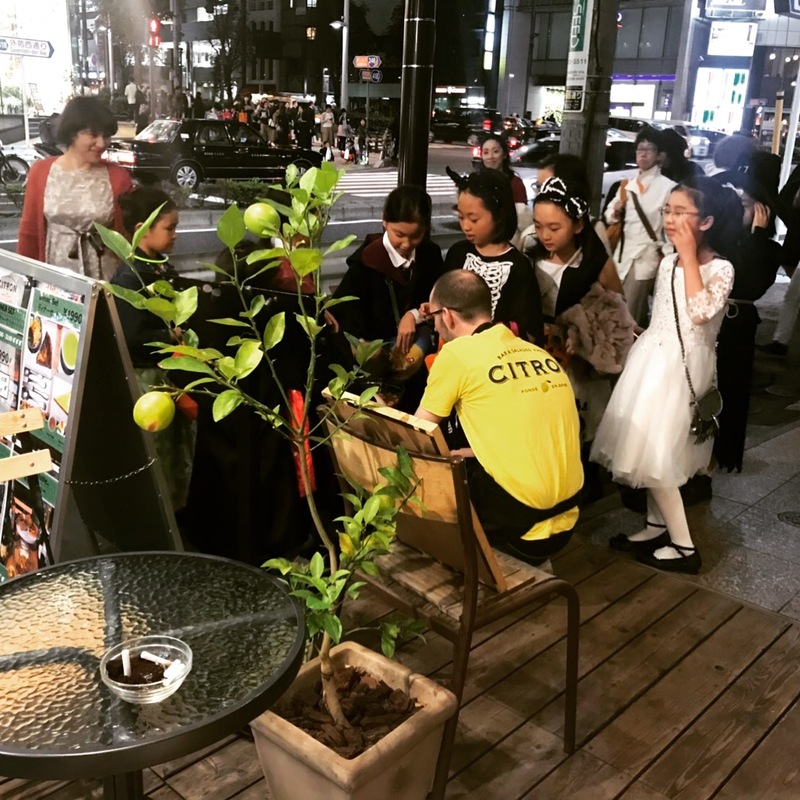 🍋😋 Preparation of our CITRON box at #citron_otemachi!! Available from Monday to Friday from 10:30am! Bon Appétit!! 🍋🍃 Morning everyone!! The Jingu Gaien Ginkgo Festival is starting today at Icho Namiki-dori! 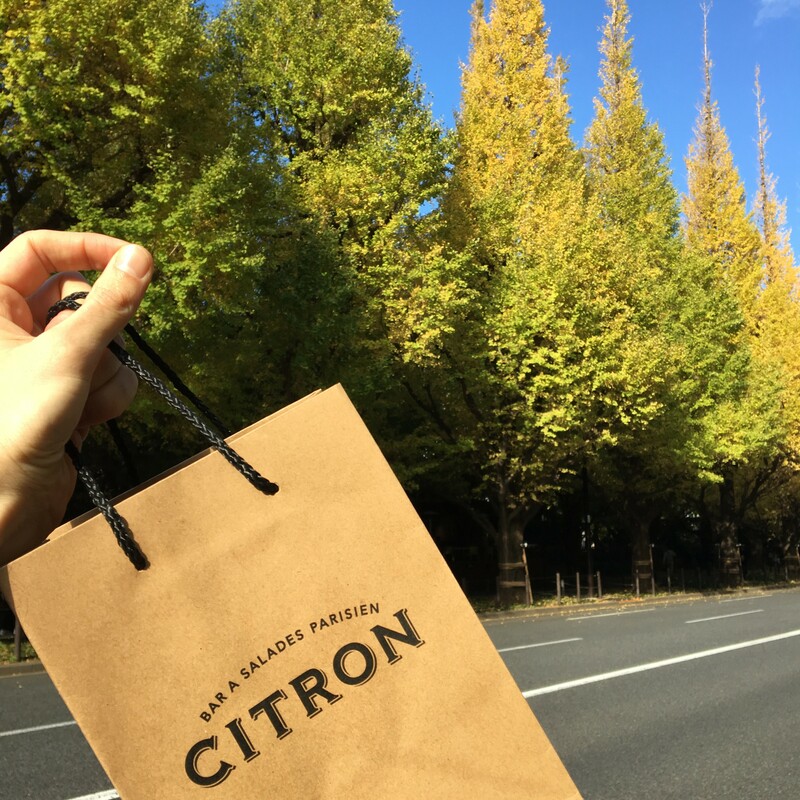 Until Dec2nd you can wander under the beautiful ginkgo leaves turning yellow 😍 Then you can also enjoy your breakfast, lunch, afternoon set or dinner at #citron_aoyama or even take away for picnic under the trees! 🤣 Looking forward to seeing you with this beautiful weather! Have a good weekend! 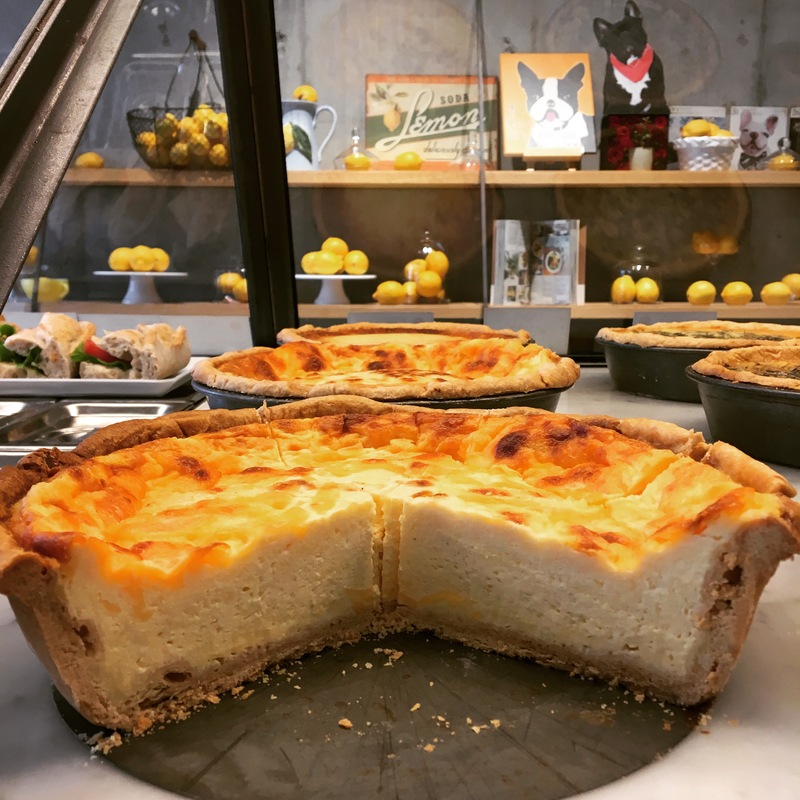 🍋😬 Our best-seller dessert: Tarte au CITRON!! What a beautiful and yummy jewel! Bon Appétit! 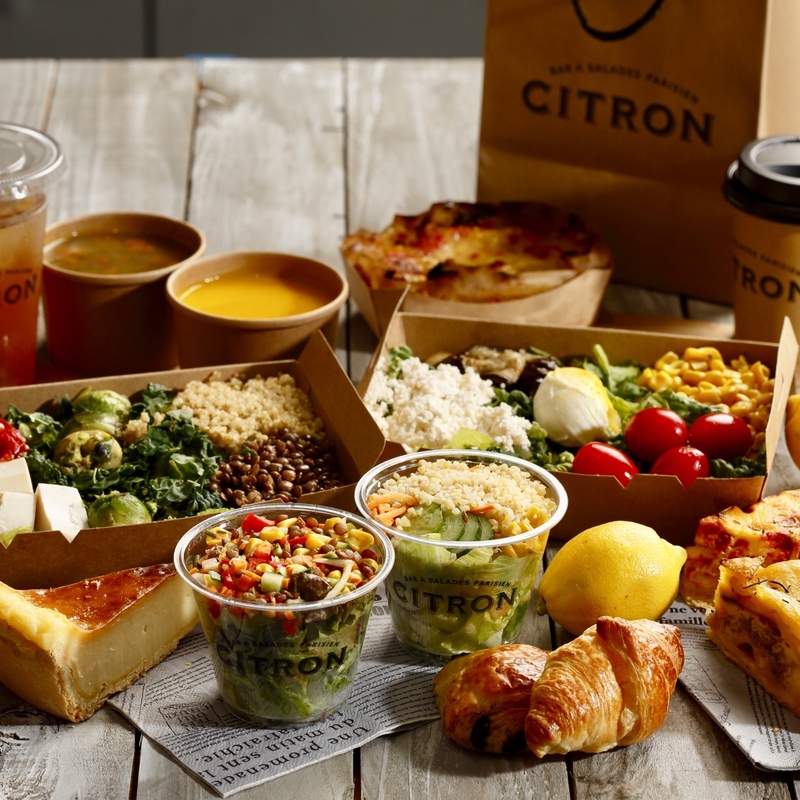 🍋🍱 From tomorrow from 11am to 3pm, our new CITRON BOX is available at #citron_otemachi!! 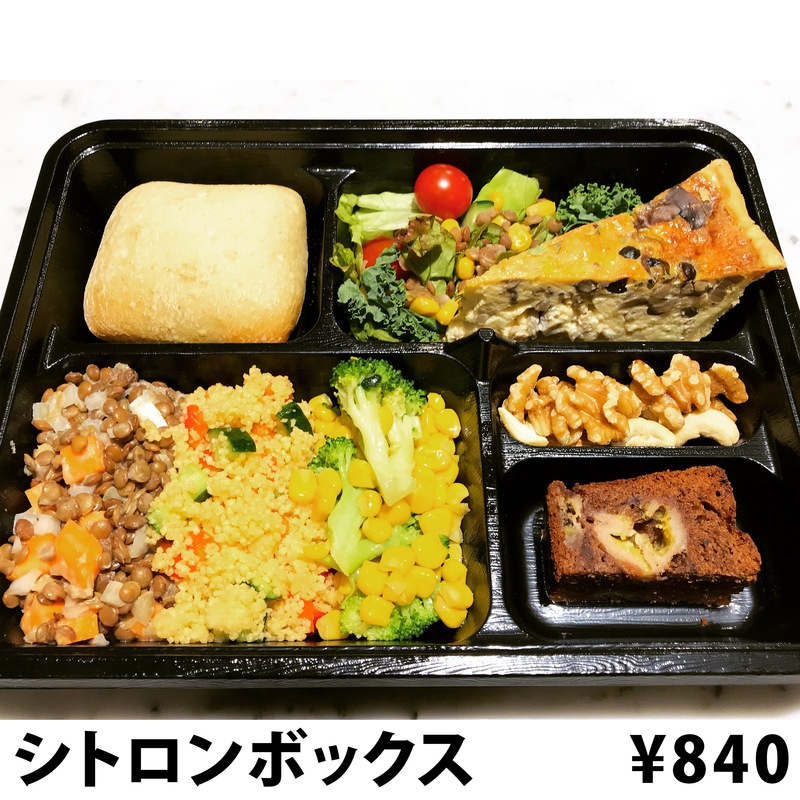 For only 840 yen you can taste our yummy Quiche, different Salads, a little Bread, our Banana-Choco Cake and some Mixed Nuts!! 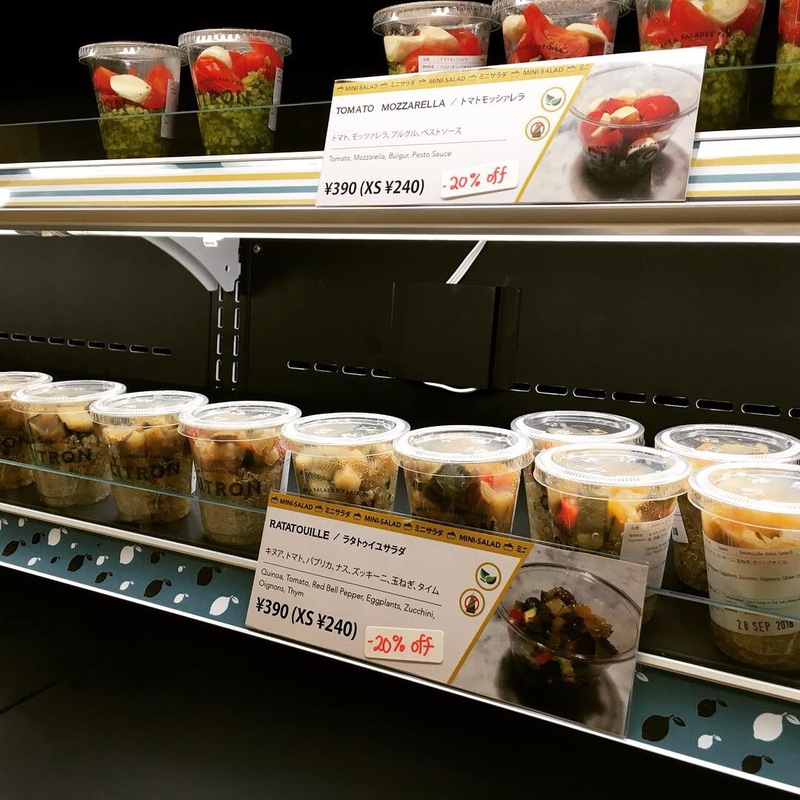 A healthy and filling choice for a small price! 🍋🥥 Here are our 2 flavorful vegan soups of the month. 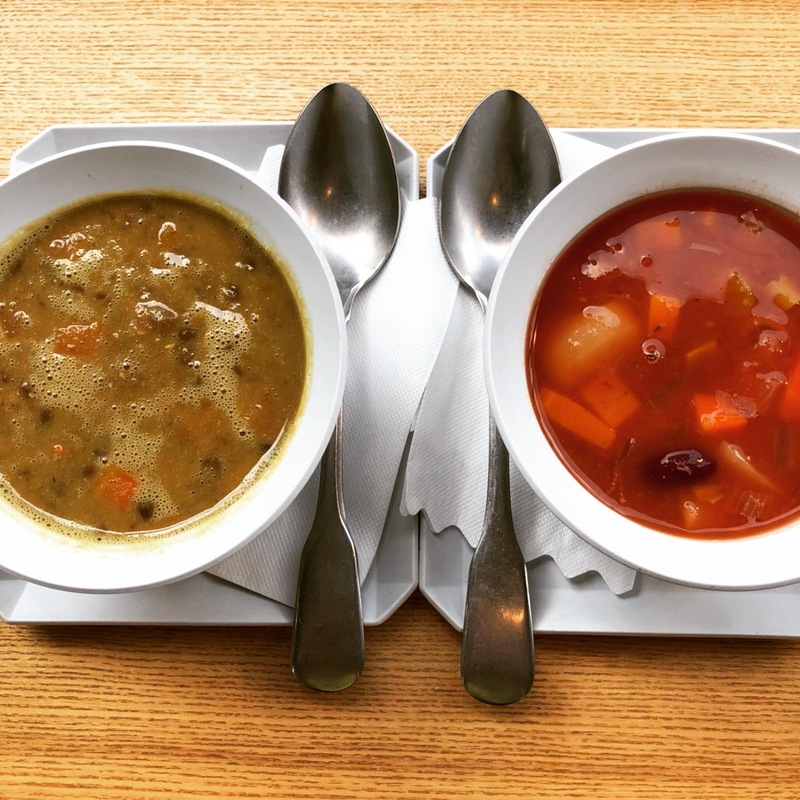 You have the choice between a Lentil Soup with Coconut Milk and Curry Spice or our Minestrone! Bon Appétit! 🍋🥐 Good morning!! Soy Latte, anyone? Bon Appétit! 🍋👊🏼 Wow!! 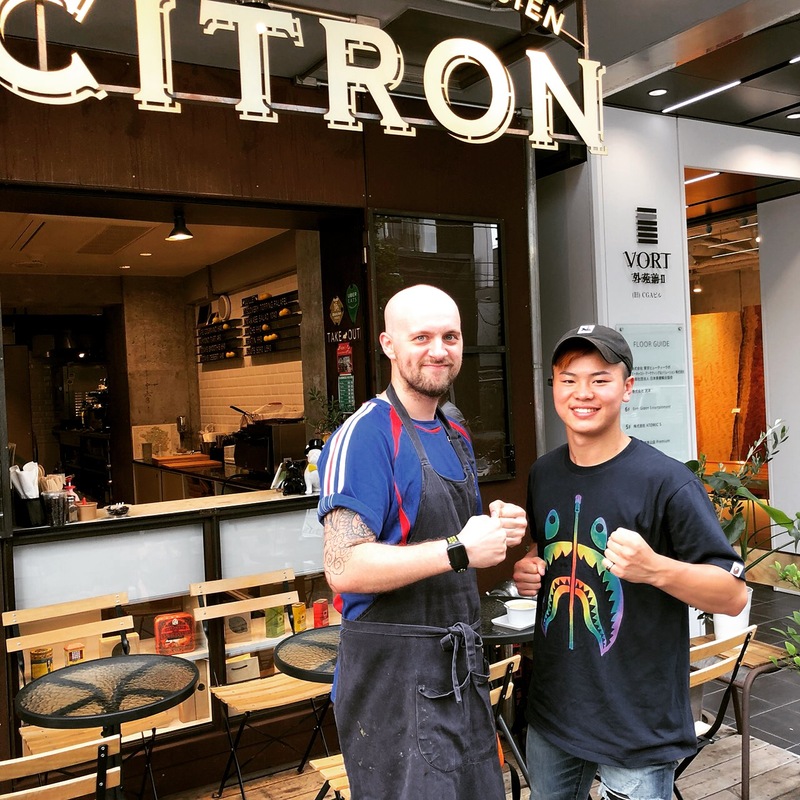 Tenshin kun, thanks for coming to #citron_aoyama!! All the best for your boxing fight against Mayweather!! 🍋😇 Good morning! Wow it’s getting colder every morning!! 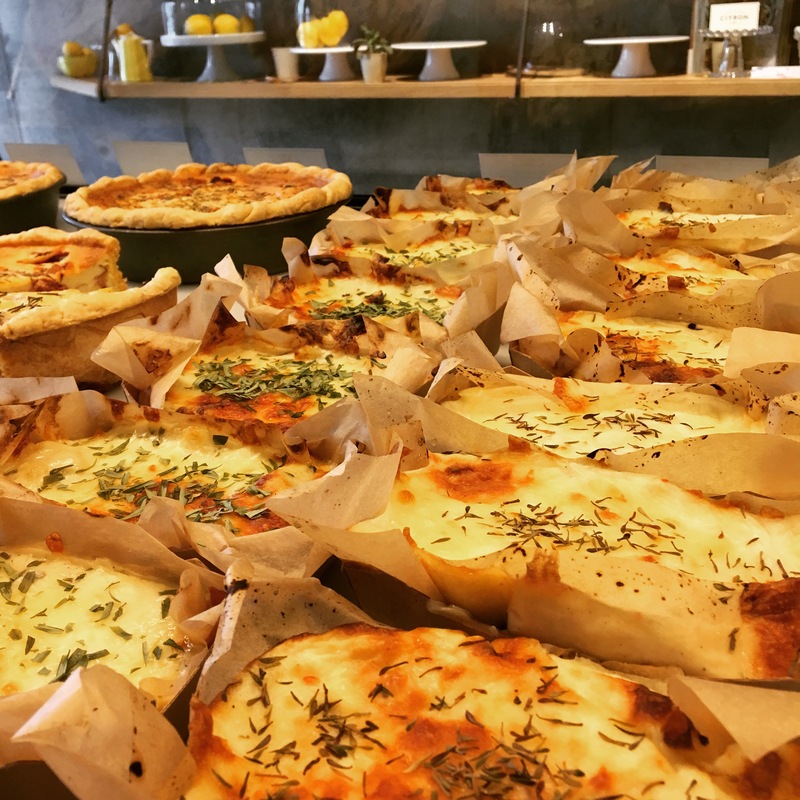 To warm you up, our vegetarian Lasagna are out of the oven. No meat but soy meat inside 😊Bon Appétit! 🍋😍 Morning everyone! Which “color” do you feel like eating today? 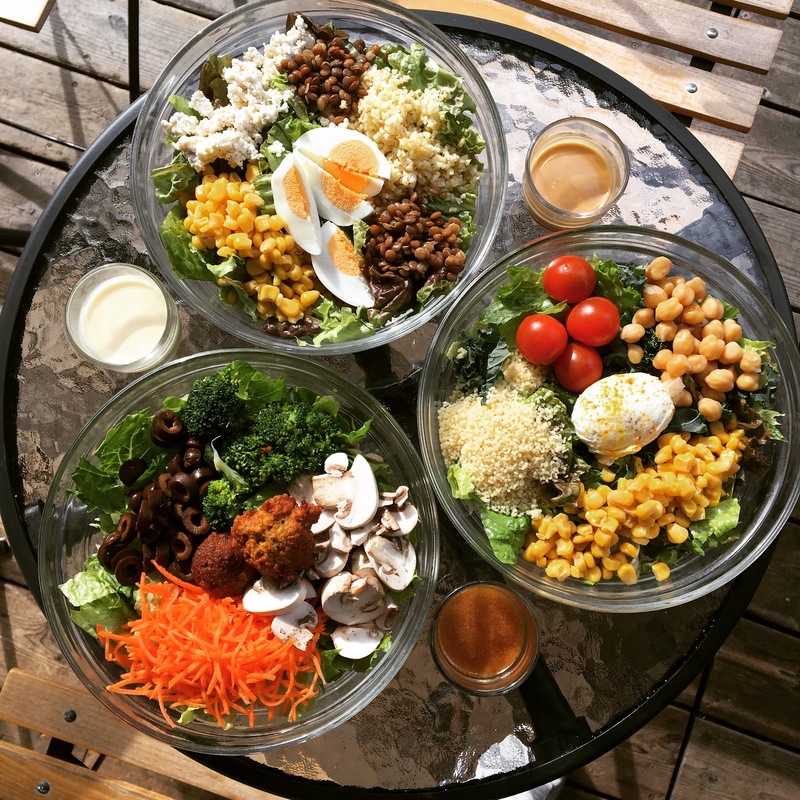 Come and try our colorful and tasty Mini Salads. 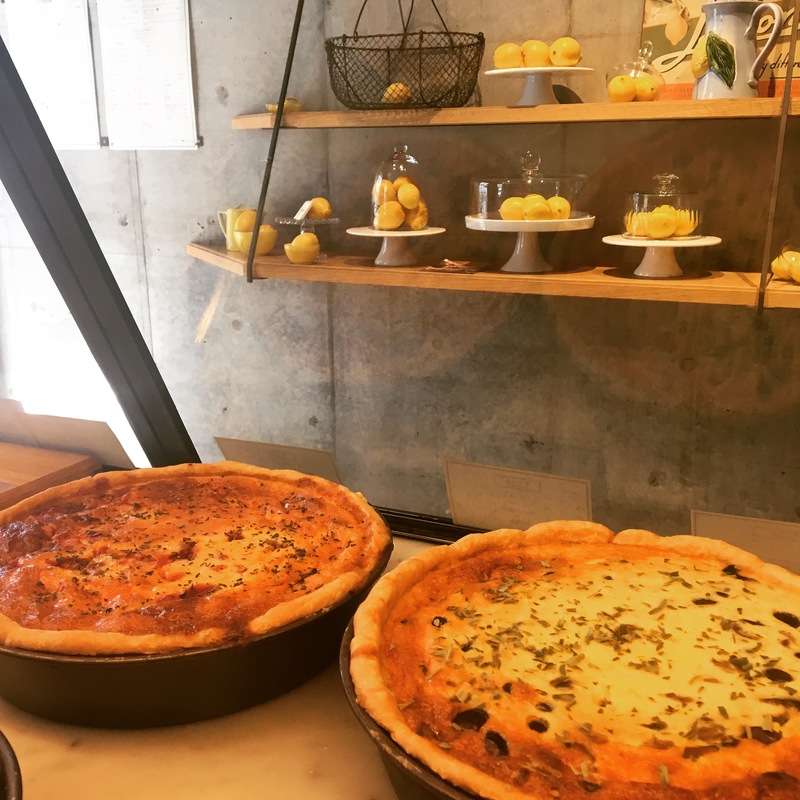 Humus, Lentils, Taboulé or Tomato Mozza are waiting for you at CITRON Otemachi! Have a good day! 🍋😋 Our organic lemons are growing nicely!! 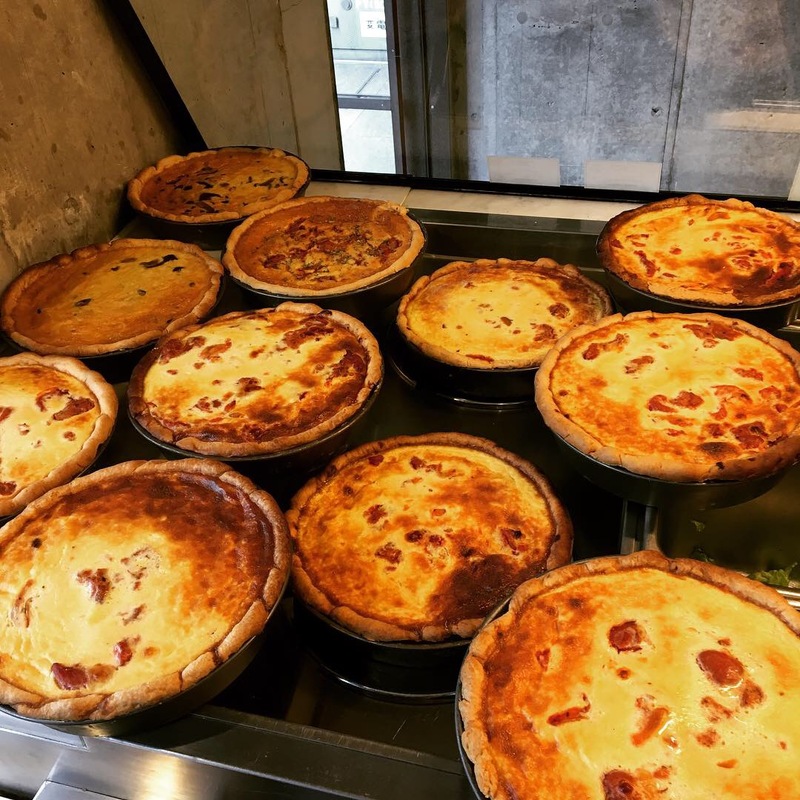 ☺️ Today we are introducing our famous Champignon quiche made of Paris Mushrooms and Shimeji cooked with Tarragon Herb! Have a great and sunny day everyone! 🍋☺️ Our November menu starts today! Come and discover our brand new seasonal dishes! 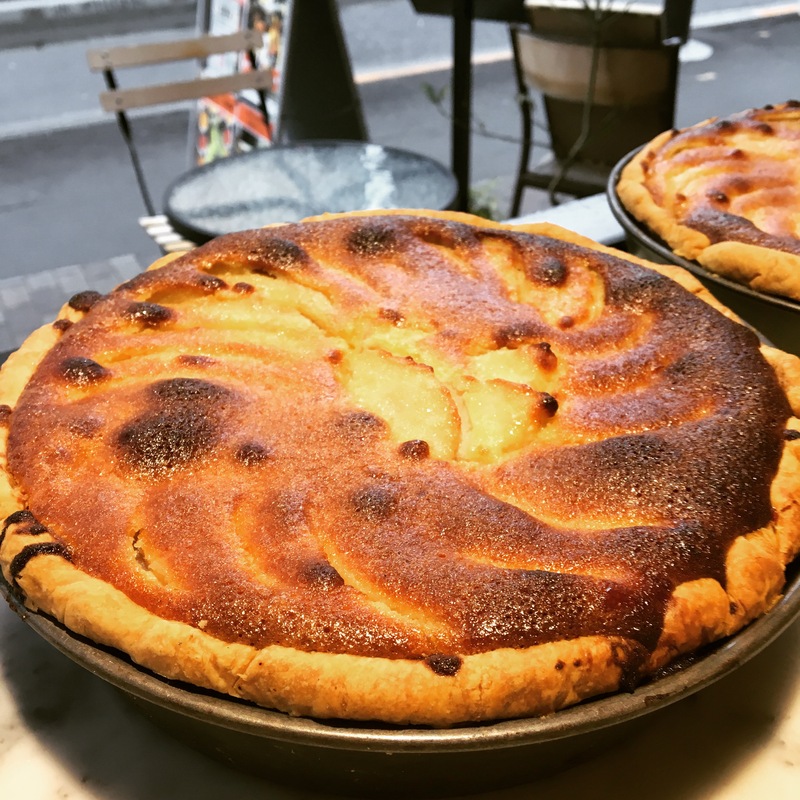 The pear season started so as our new Tarte Normande with La France pears and Almond Cream!! Yummy!! 🍋👻 Last night at CITRON… celebrating Halloween with the kids! More treats than tricks!! 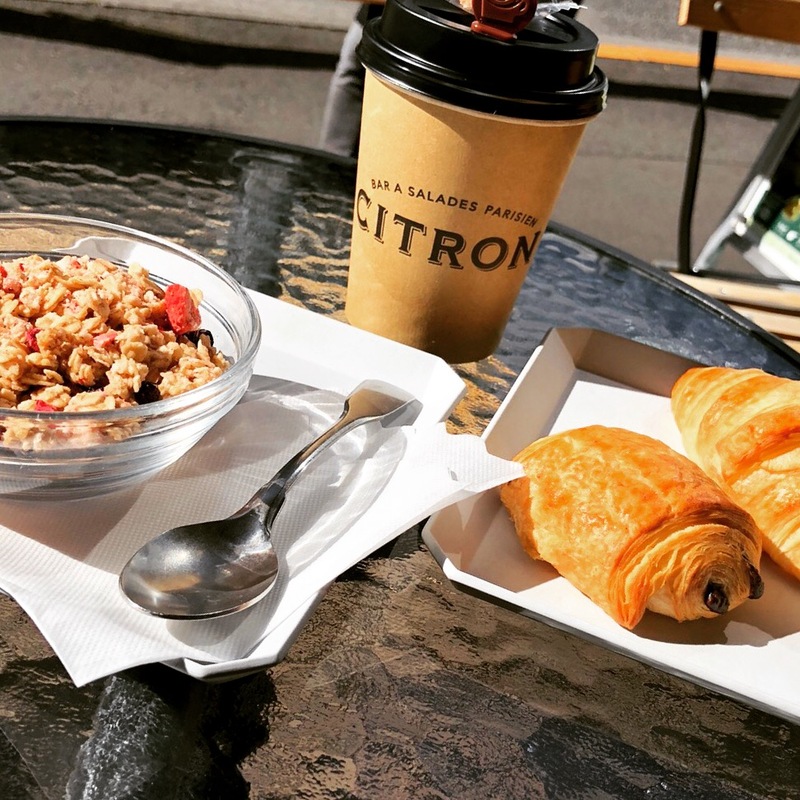 🍋🥐 Breakfast at #citron_aoyama with Organic Granola, Croissant & Pain au Chocolat, Organic Coffee along with beautiful sunshine and our smile 😃 Bon Appétit!! 🍋😇 Let’s discover our beautiful and yummy vegan mini salads! Lentils Vinaigrette, Taboulé and Humus! Bon Appétit!! WHICH ONE WILL YOU FALL FOR!? 🍋😇 Please choose 1 (or more!) 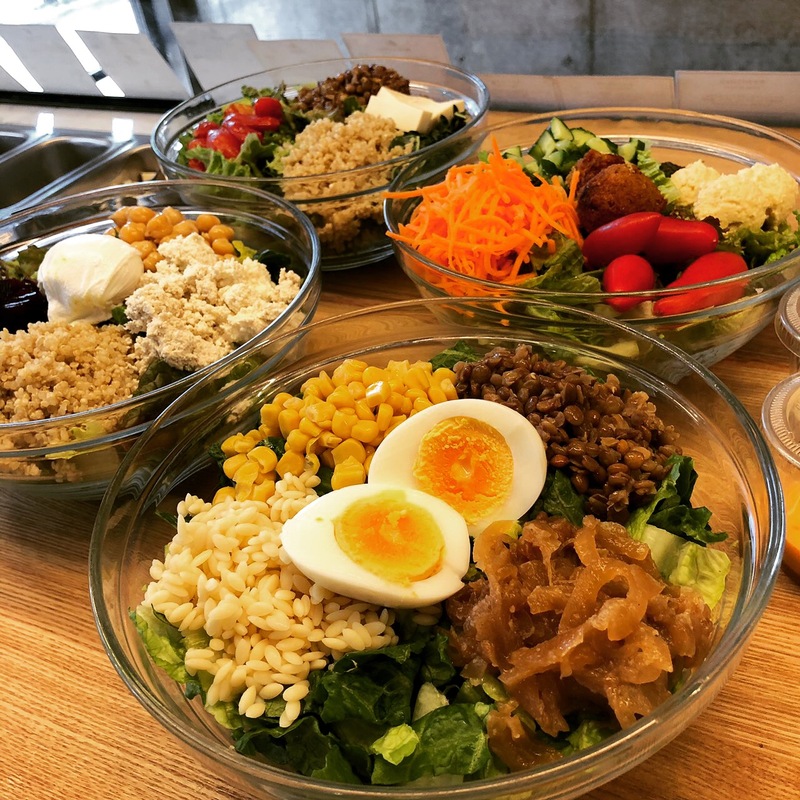 from our signature salads: Chef, Parisian or Raymond! Bon Appétit!! 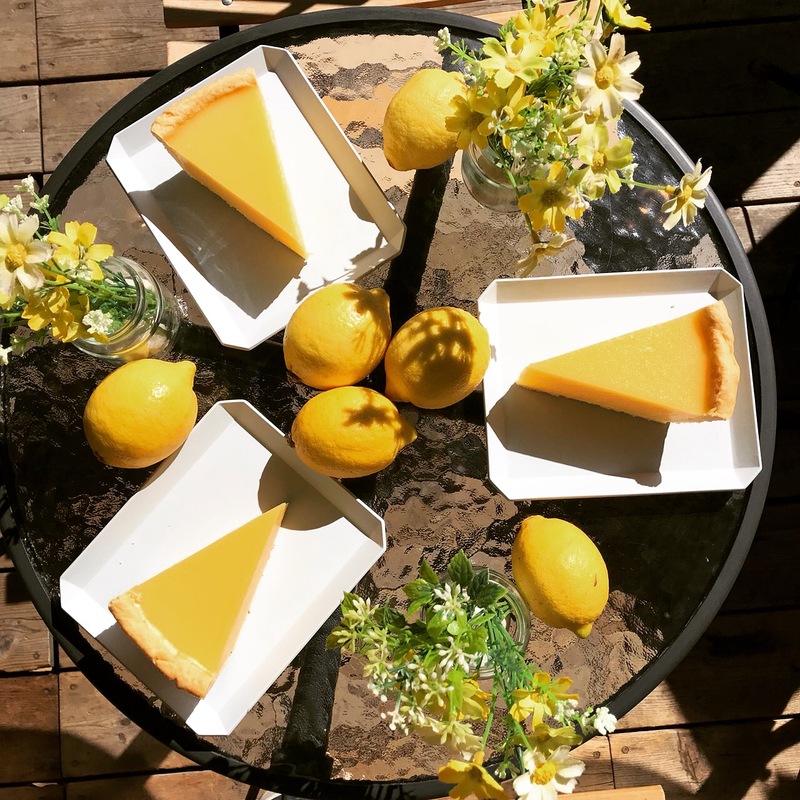 🍋😊 Happy Monday and Bon Appétit with us!! 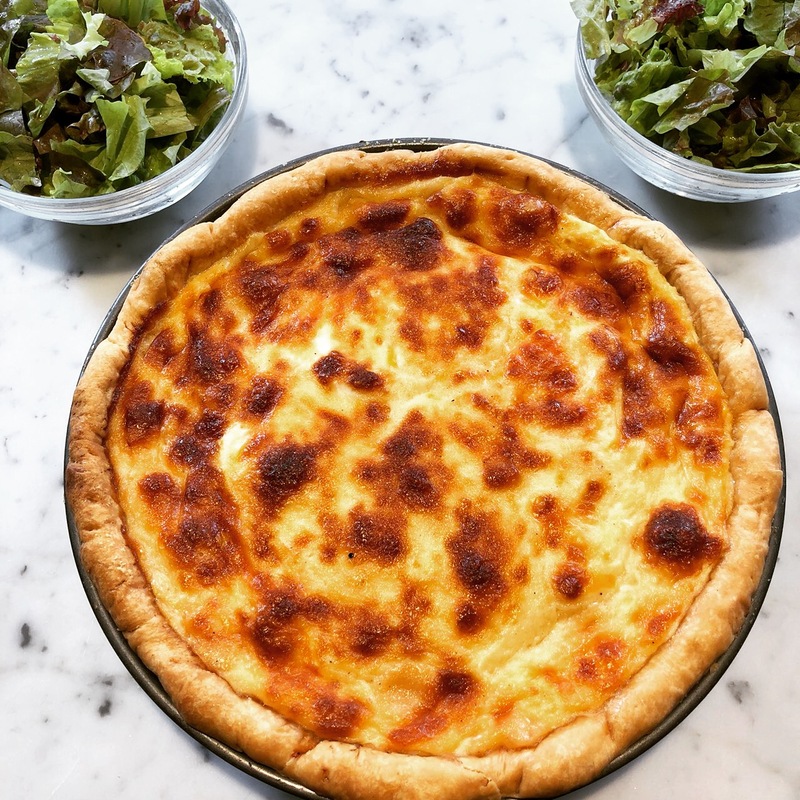 🍋😊 Our beautiful Savoyarde Quiche with 3 kinds of cheese: Red Cheddar, Mozzarella and Parmigiano! 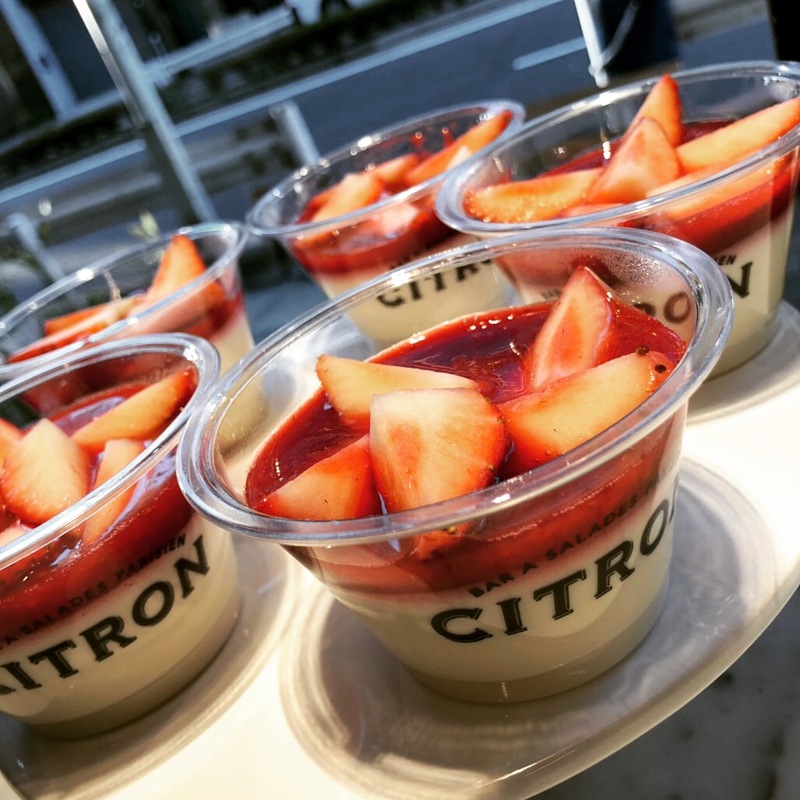 Happy Sunday at #citron_aoyama! 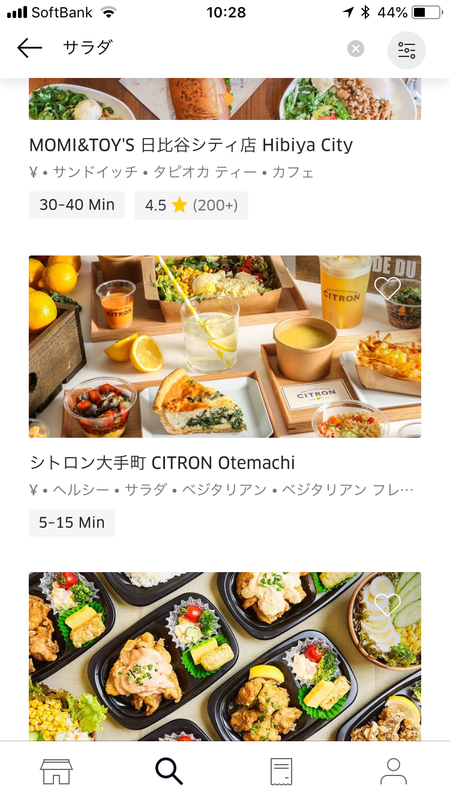 🍋😃 From today CITRON Otemachi’s delicious food is also available on UberEats! Please check us out!! Bon Appétit!! 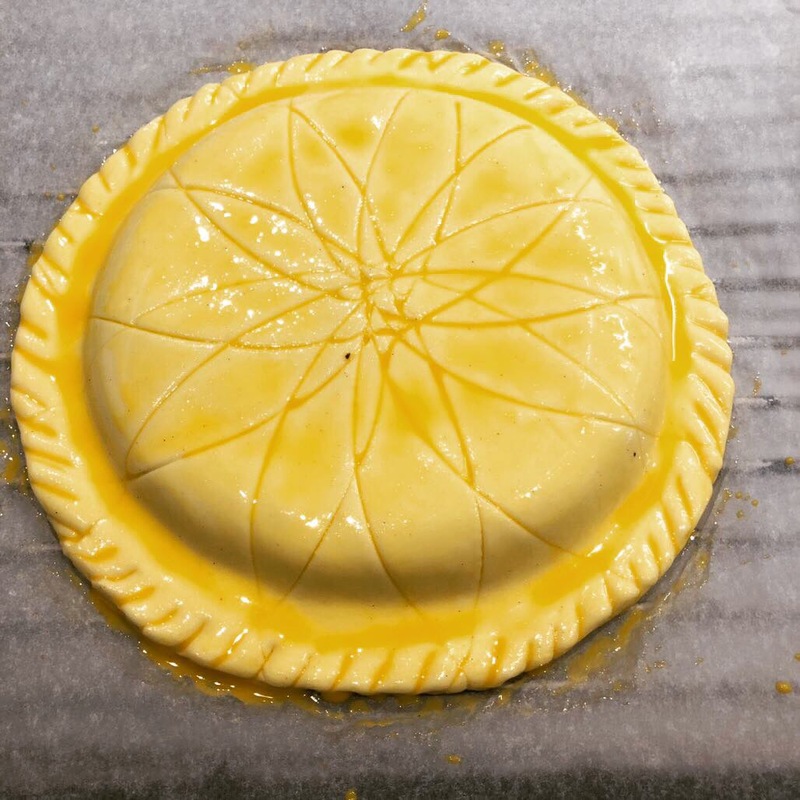 🍋 Our recommendation of the month: L’Epinard! 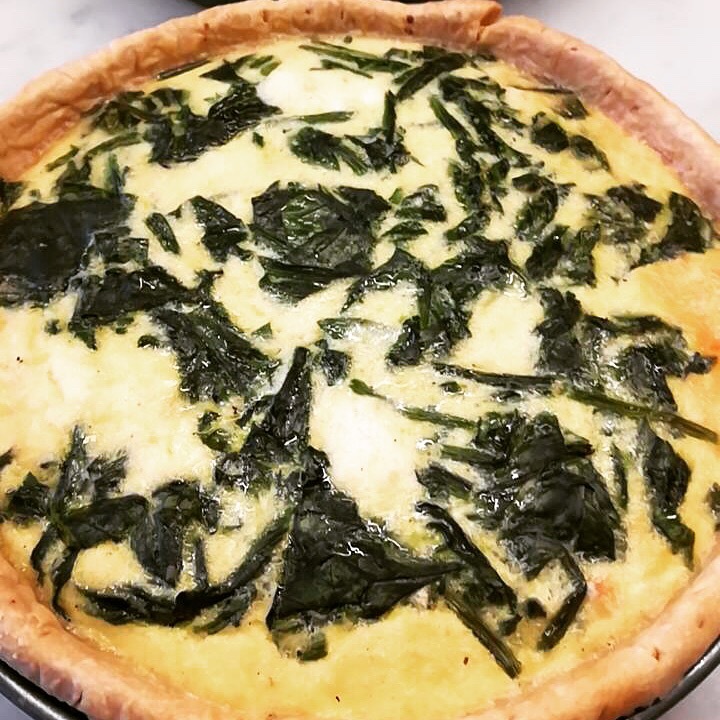 Have you already tried our lovely creamy Spinach quiche made of fresh Spinach and homemade Ricotta Cheese? Bon Appétit ! 🍋😀It’s getting chilly! 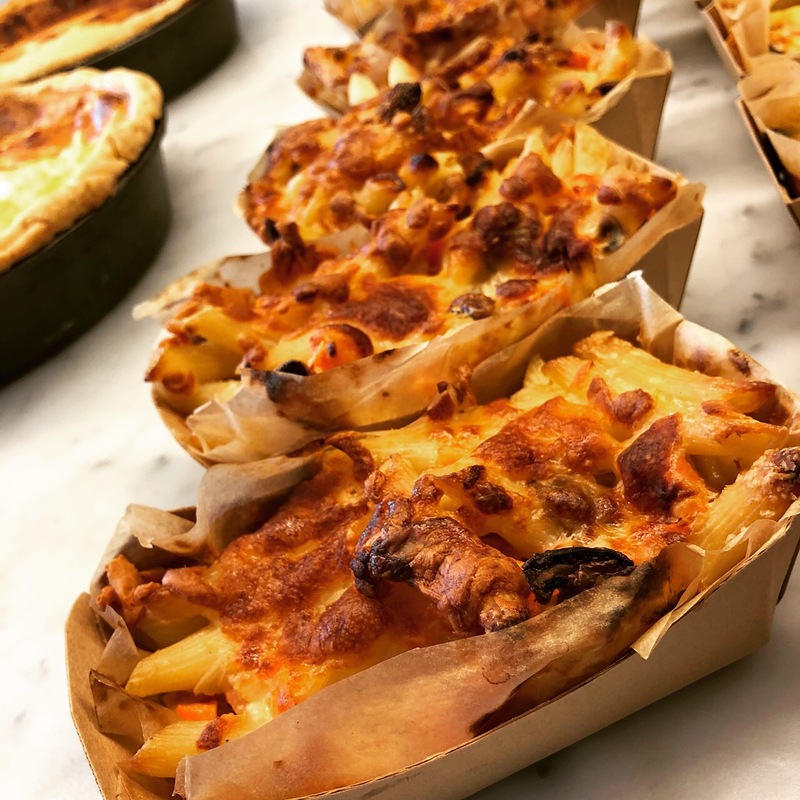 What about trying our Carbonara Pasta gratin to make you feel warm inside 😉 Bon Appétit!! 🍋😋 Good Morning and Happy Monday! 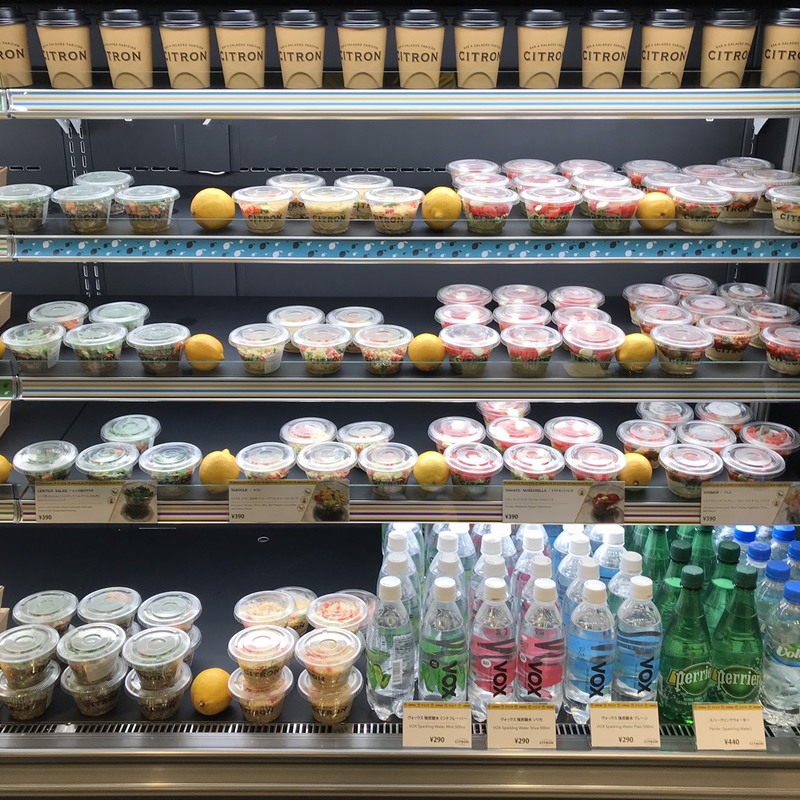 Have you ever tried our mini cup desserts in Otemachi?! 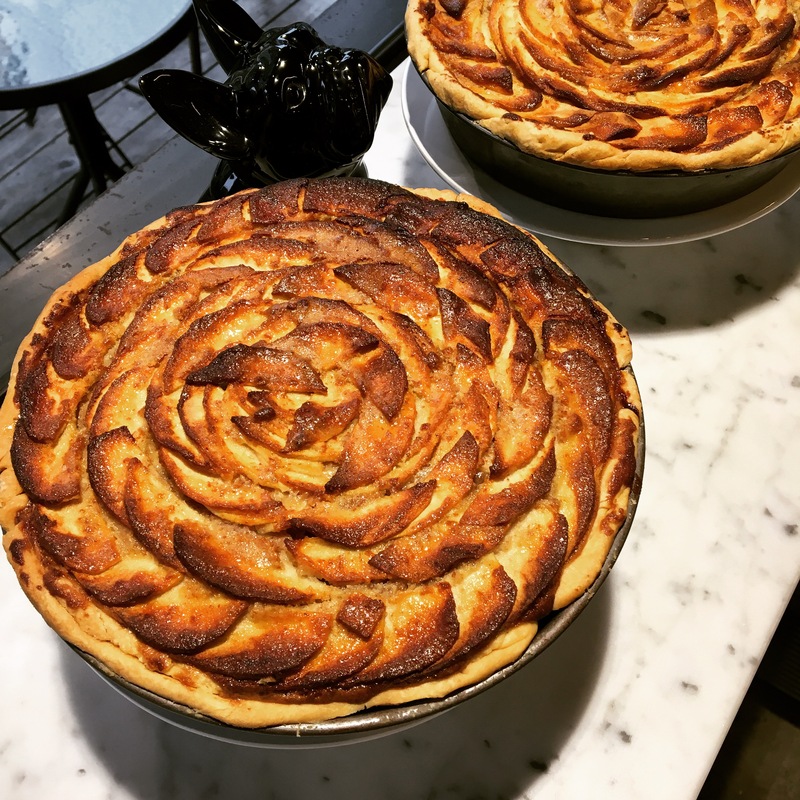 You can choose between our famous Lemon Tart, Mousse au Chocolat or Apple Vanilla Crumble! For only 240 yen. Bon Appétit! 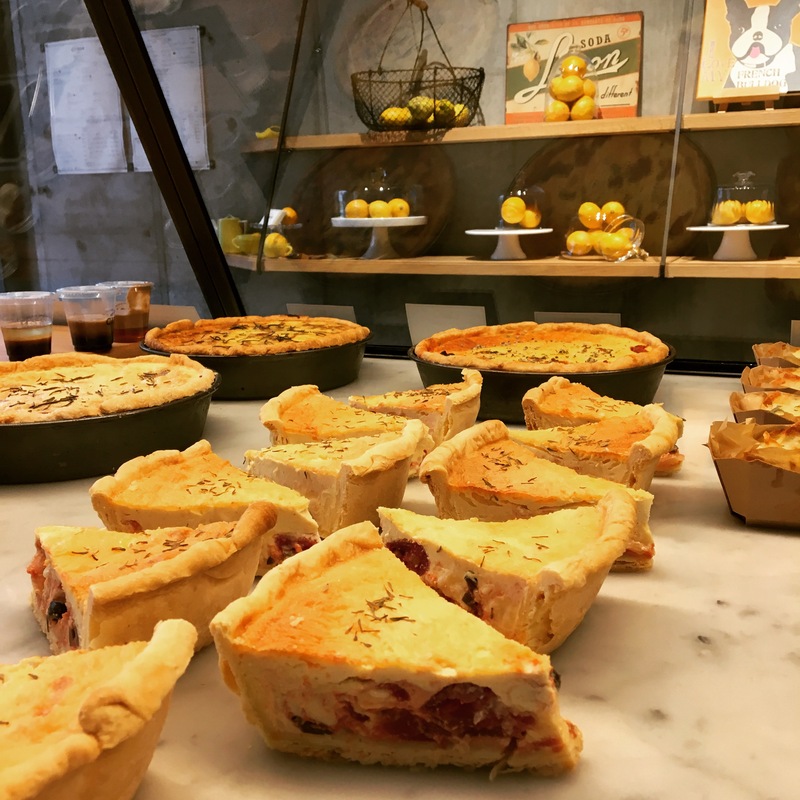 🍋😇 Come discover this week’s selection of Mini-Salads and Desserts! 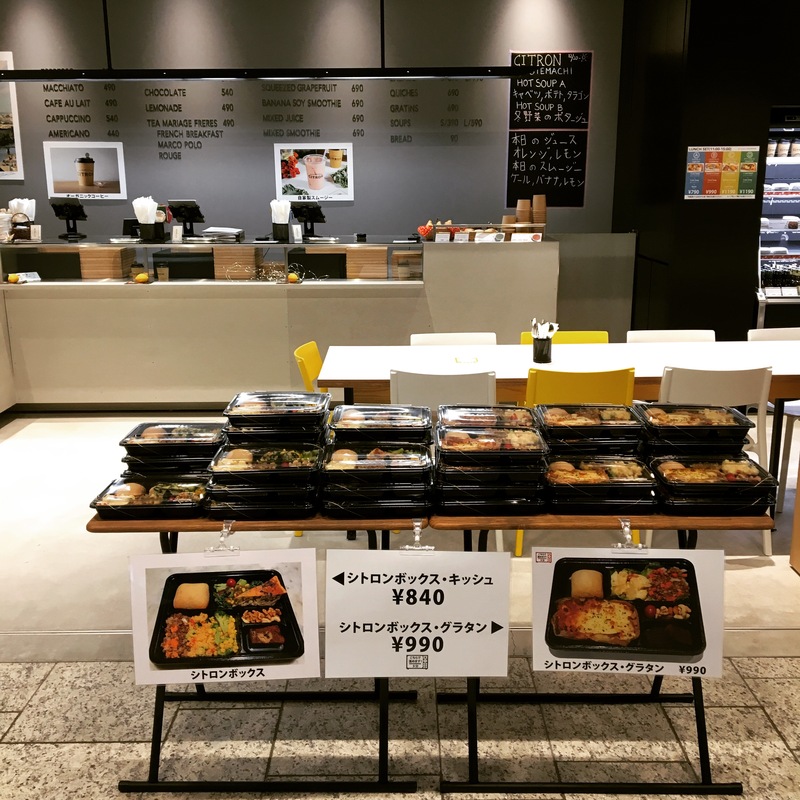 Only available at Otemachi branch. Looking forward to having you! 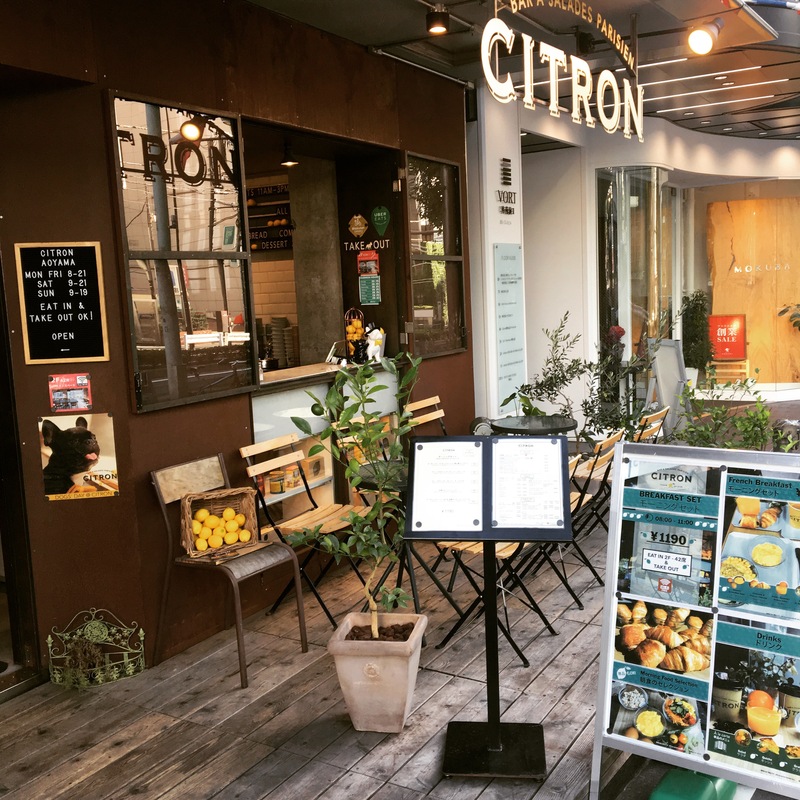 🍋🤩 From today we are offering 4 new sets at #citron_otemachi!! Available from JPY790 and all day long! 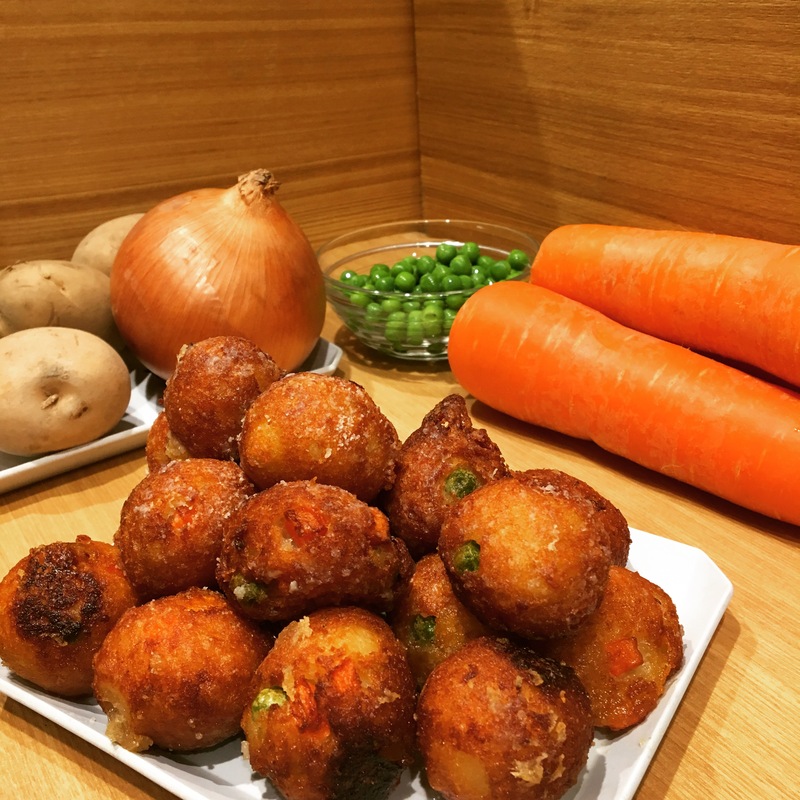 Come and try them. Bon Appétit! 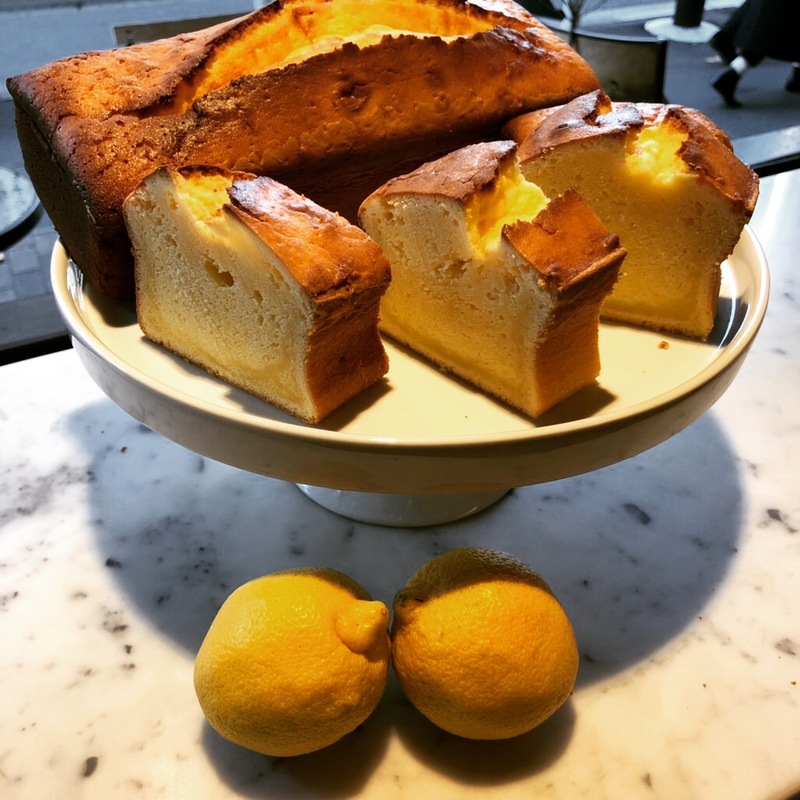 🍋😋 October menu starting today at #citron_aoyama!! 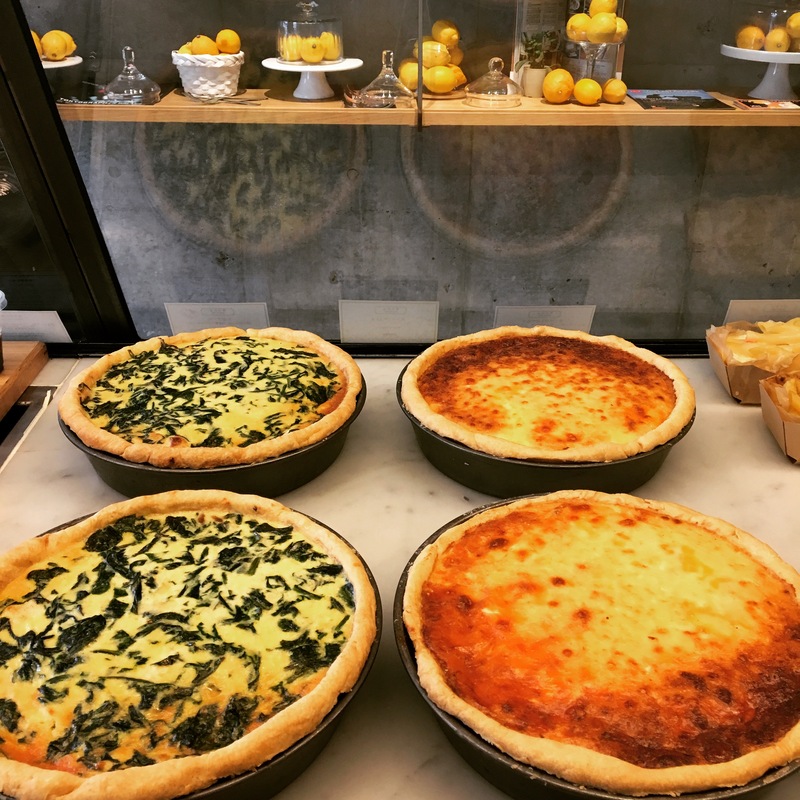 Very cheesy quiches this month with our popular Spinach & Handmade Ricotta Cheese as well as our Three Cheese one!! 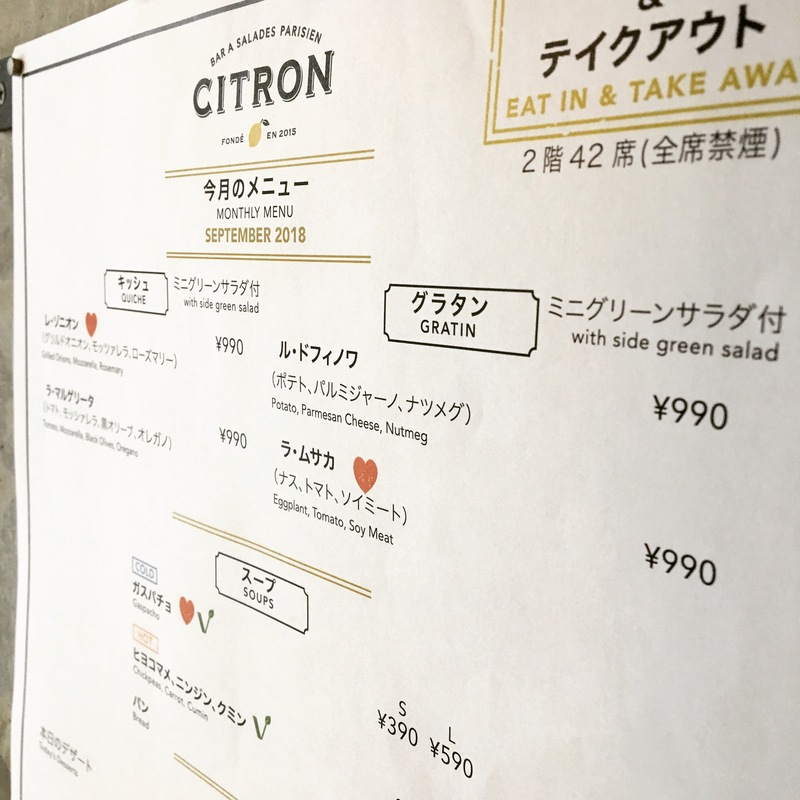 🍋😉 Last day of our September menu today at #citron_aoyama!! 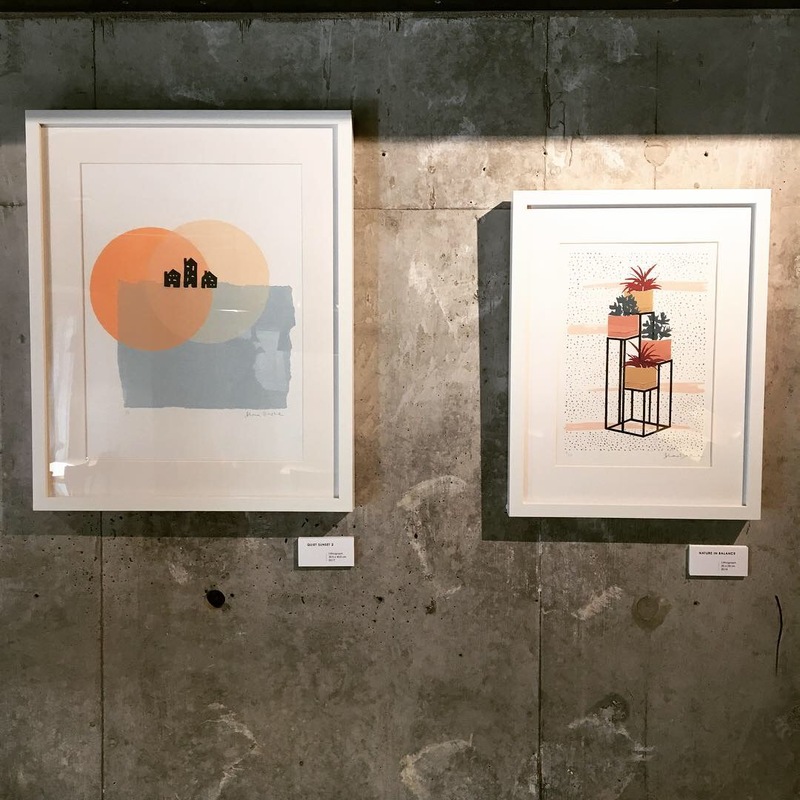 Come visit us before the typhoon reaches Tokyo! Have a good and safe day. 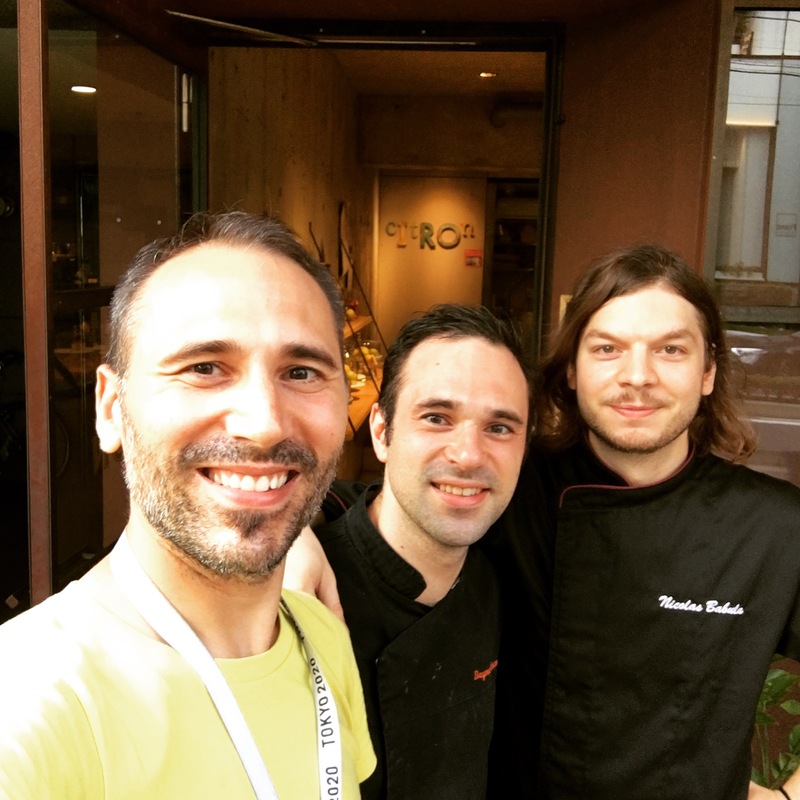 Aoyama team. 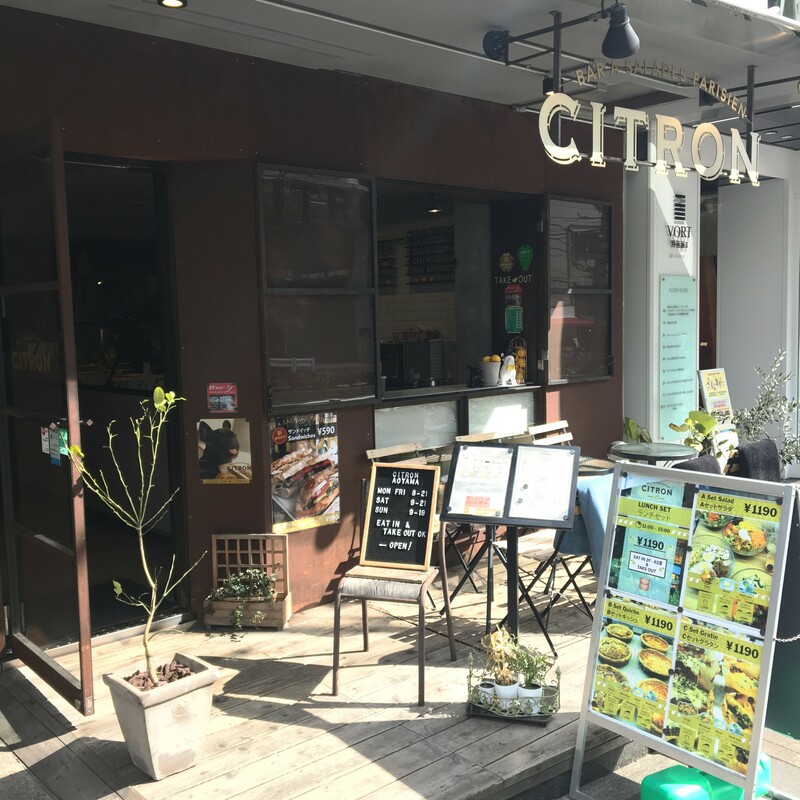 🍋😘 Welcome to CITRON Otemachi! 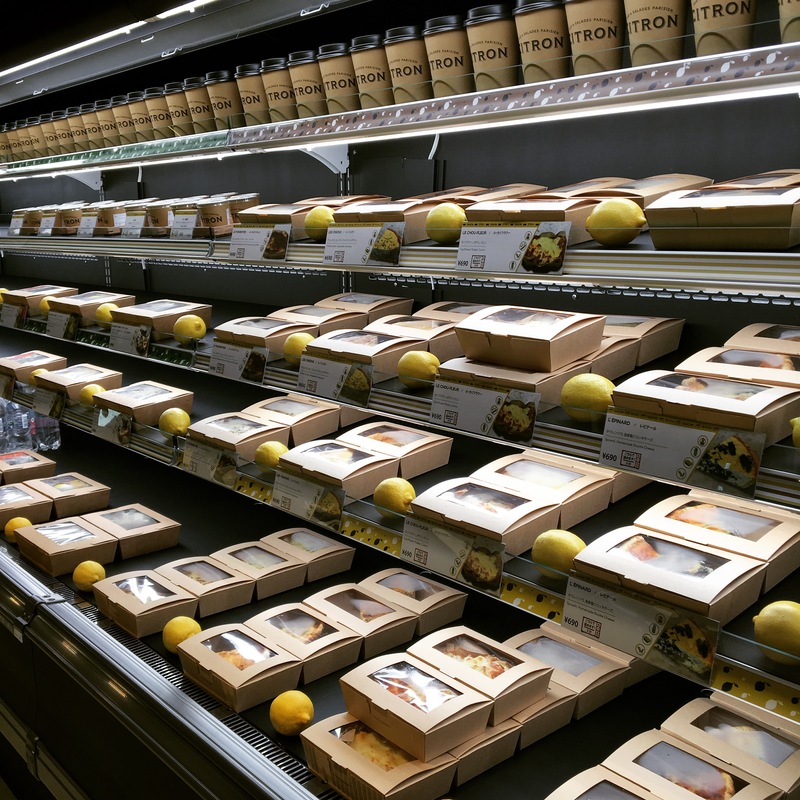 On our shelves, you can always check our little icons showing easily “vegan options”, “gluten free items”, “free-range eggs”, “organic products”. 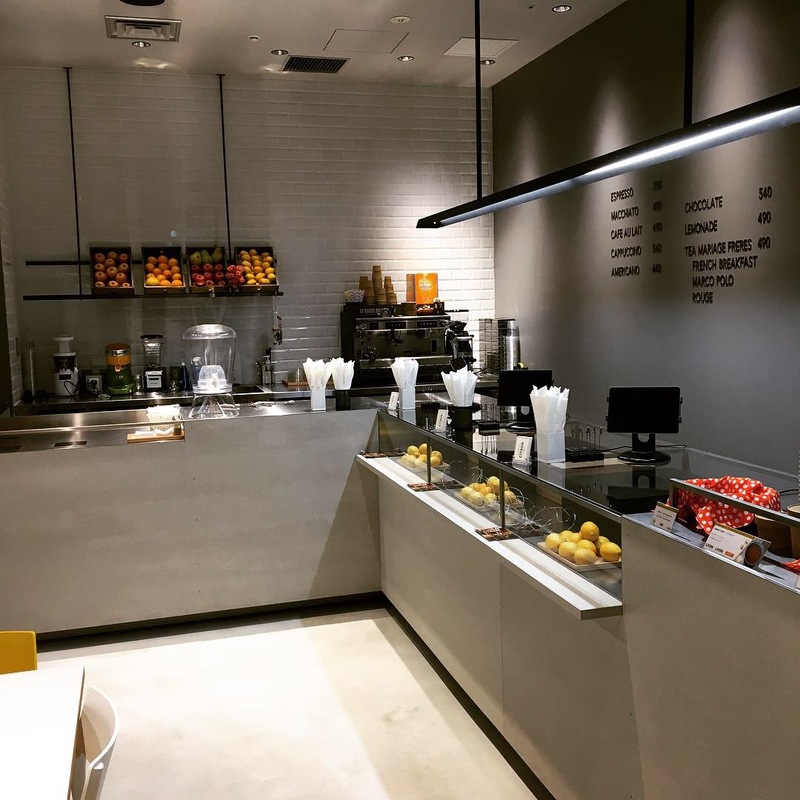 Looking forward to seeing you in our healthy & organic new store! 🍋🎉 Ready for tomorrow!! 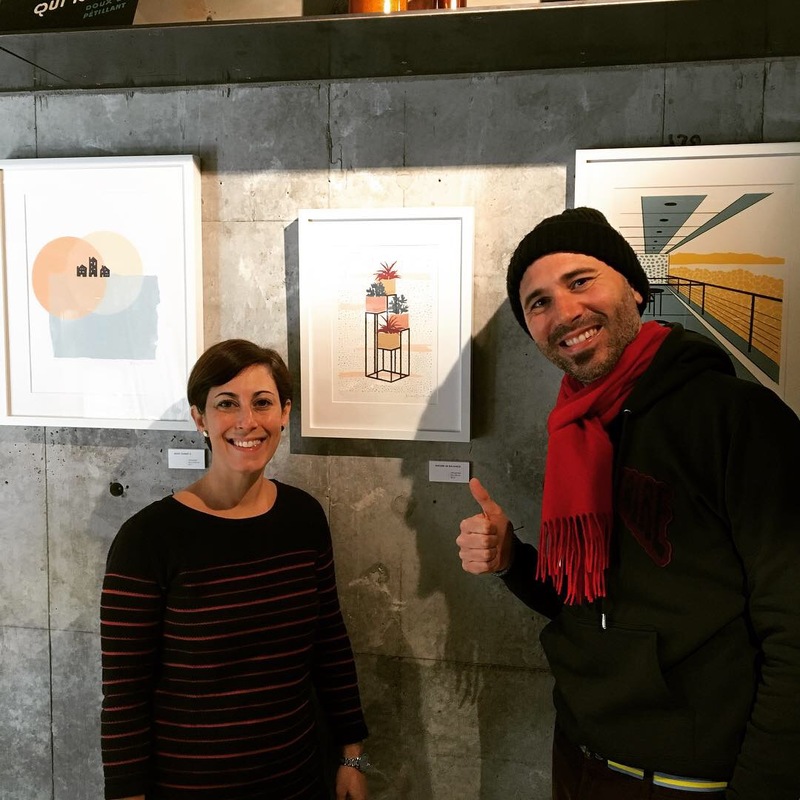 Looking forward to welcoming you from 8am at CITRON Otemachi! 🍋☺️ Pre-Opening Day2! We look forward to seeing you on Tuesday for our Grand Opening! 🍋😌 We are ready!! 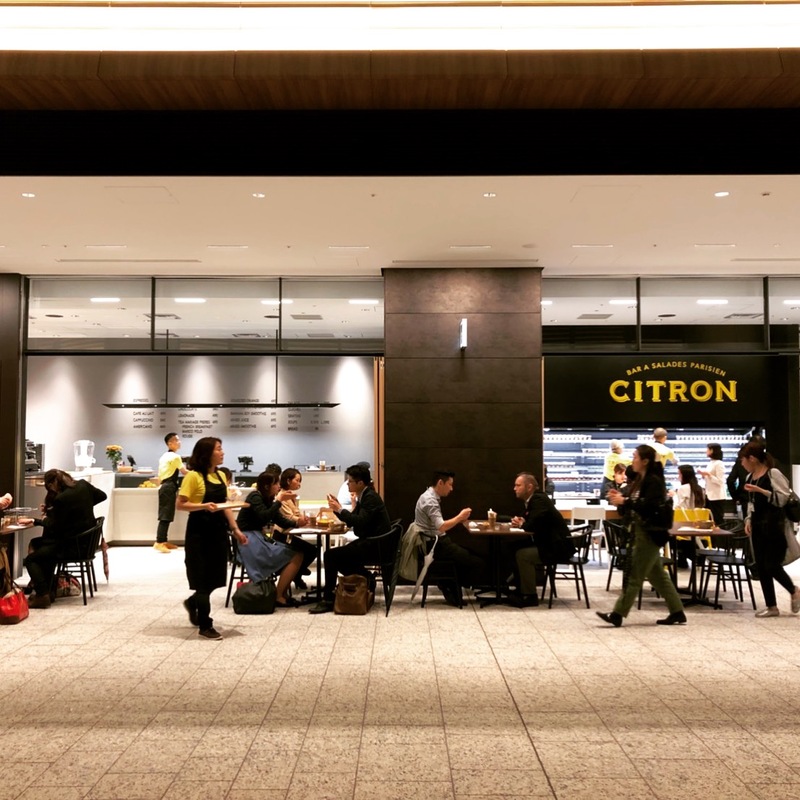 Pre-opening of our CITRON Otemachi today! 🍋🚌 Please say hi to our new team member! 😂 He will help us carry our yummy food to CITRON Otemachi from Sep25th!! 🍋😲 September menu: start!! Bon Appetit!